… and you know what that means! The guilt of holiday overindulgence starts to weigh on the conscience, clothes are fitting a little tighter, memories of last year, at this time, when you promised yourself that “this is the year” that I’m going to do something about my health! You’re having thoughts of rejoining the gym along with all the other new-years resolutioners, wondering where you stored away those running shoes last February, trying to remember “what went wrong?” …and there it is, déjà vu all over again. Let me guess, you started off strong last year. You went to the gym, you jogged through the neighborhood and followed a calorie restrictive, low-fat diet, and it worked! You started losing some weight. But, then you hit a weight loss plateau and all your energy was gone, you may have even gotten sick. You gave up and returned to your old ways and it wasn’t even Valentine’s Day yet. That little bit of weight that you had lost was back by Easter, then the summer and the holiday season tipped the scales beyond your original starting point. Now, here you sit, wondering where it all went wrong, gearing up to do it all over again. Listen, I’ve been there. It’s an endless loop of insanity that riddled my life for years. Some of the smartest people in the world are caught in this same paradigm right along with you. Why? Because they listened to the “so called” experts. And why wouldn’t you? I mean, they are doctors, they should know what they’re talking about, right? Meanwhile, our country is amidst an obesity epidemic the likes of which this planet has never seen! How could that be? Proving once again that even a broken clock has the correct time at least two times per day, Dr. Michael Greger M.D. takes time-out from obsessing over his plant-based diet propaganda to make some excellent points. He then follows up with some more harsh reality here and here. Yes, it’s true, a blind squirrel can indeed find a nut on occasion, and even provide some useful information. Then there are the dietitians. They most certainly should be able to steer patients towards a healthy lifestyle, right? I mean, after all, their entire education is based on NOTHING BUT nutrition. Not so fast! The Academy of Nutrition & Dietetics (A.N.D.) curriculum is largely based on the same outdated, non-scientific, 50 year old dogma that continues to fail public health. The nutrition and dietetics curriculum for registered dietitians is designed to support the government imposed US Dietary Guidelines that are, and always have been politically, financially and economically influenced by the agriculture, pharmaceutical and processed food industries. How is it that I know this? Well, let’s just say that I currently reside in “the belly of the beast” and leave it at that. The short answer to that question is: YOU! You have to take charge of your own health. 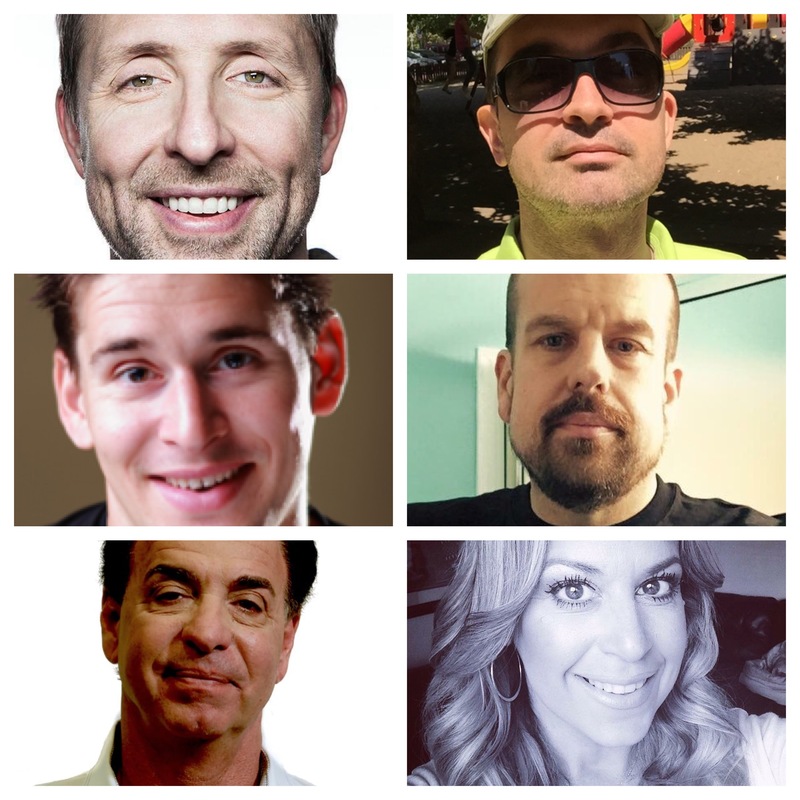 Why not consider flipping the script to an entirely new strategy? 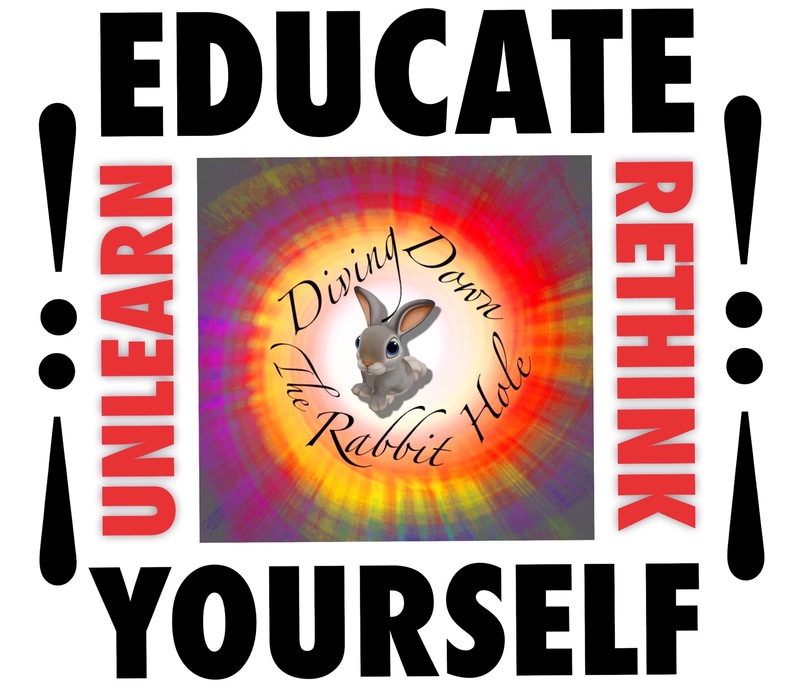 Do some research, think outside of the box, experiment on yourself, open your mind to ideas that are contrary to so called “conventional wisdom(wisdumb).” You will likely find that the conventional advice that we have long touted as gospel is nowhere in the vicinity of wise, and is in fact dumb. Don’t take my word for it, after all, I’m just some guy on the inernet. 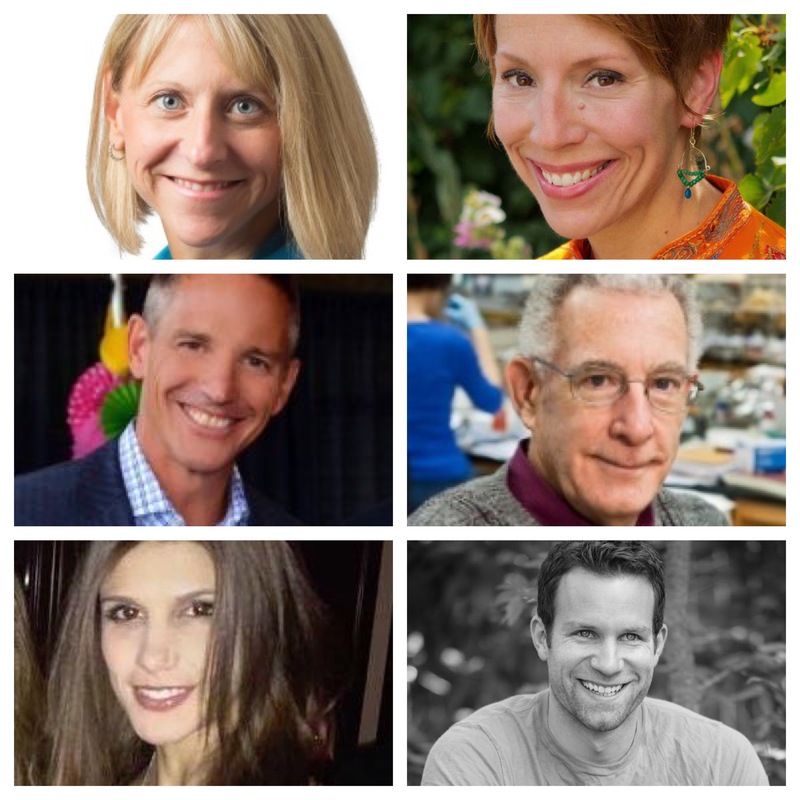 In this post (Essential Reading: Nutrition Edition) I have compiled a list of resources written by luminaries in the field of nutrition that will help kickstart your self-education. … because it works. 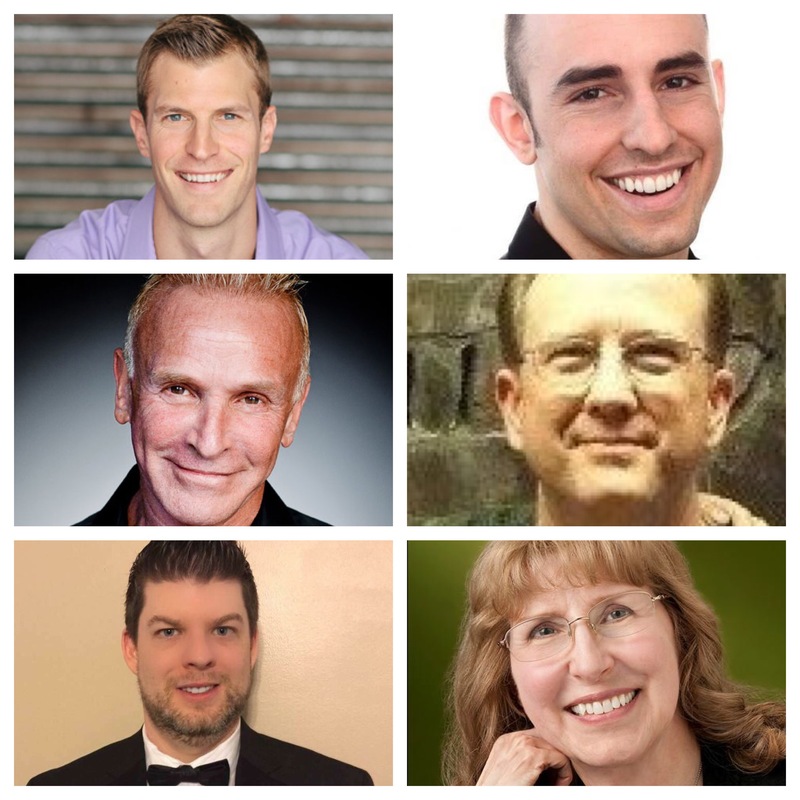 Were you to embrace the LCHF/Keto communities on social media, you will discover that thousands of individuals, people much like yourself, have managed to not only lose weight, but also reverse their markers of disease by implementing a low carbohydrate lifestyle. 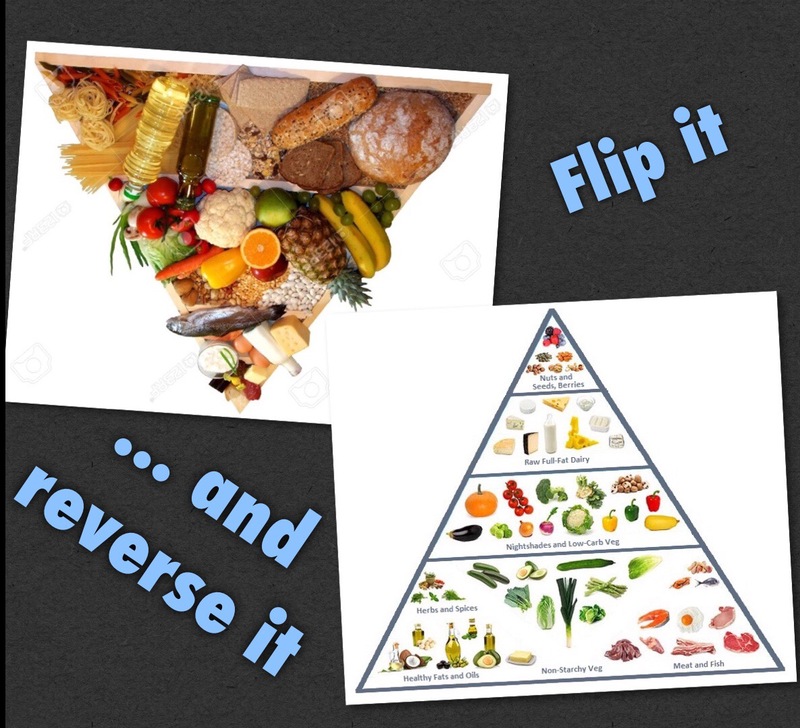 What makes this way of eating different than the diets you’ve tried in the past? Well, in a word: SATIETY which equals Sustainability. Not to mention the metabolic, hormonal and immunological healing that will commence. Weight loss will also be a pleasant side effect. … and that’s just the tip of the myth-buster iceberg! 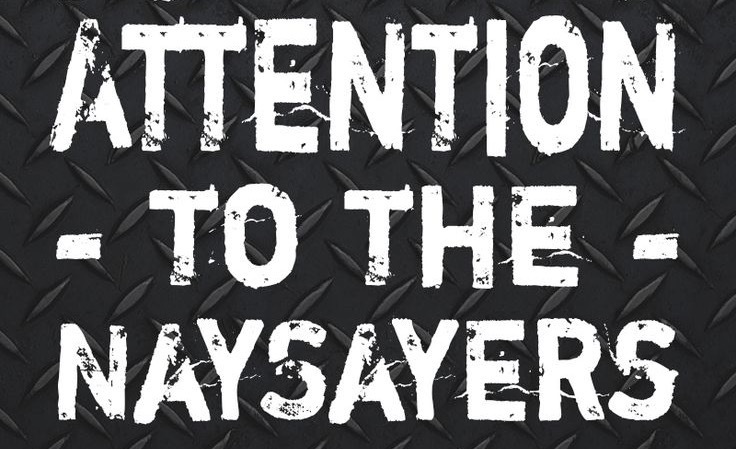 2nd Stage – Denial & Anger: Then you’ll start asking “How could this happen? 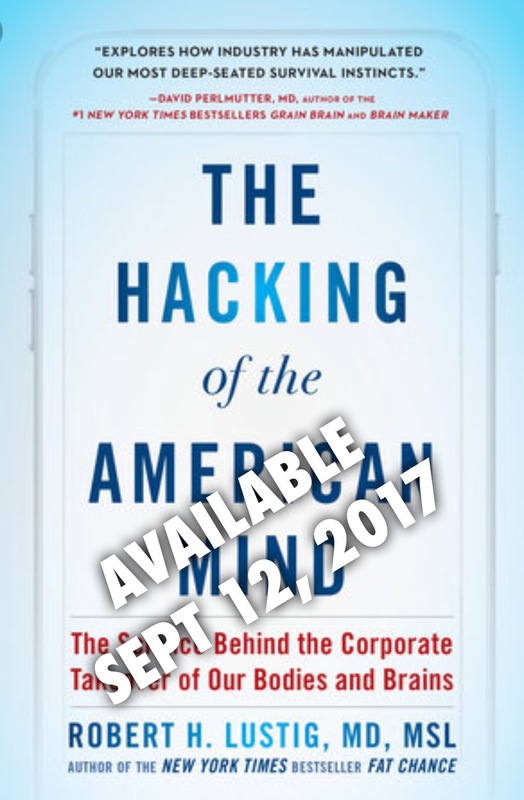 How could we have gotten it all so wrong …and for so long?” As you learn about all of the many missteps, the bad science, the corporate and governmental influence, you’ll likely become incensed that so many populations have fallen prey to this overwhelming amount of misinformation. You’ll think of friends and loved ones who’s health and mortality could have been affected. Be careful though, your passion for truth can be misunderstood by friends and family members. Though you have discovered evidence that could be considered conspiratorial, be mindful that your newly ignited passion can be misconstrued as paranoia. No one will truly listen to you if they think you are some kind of half-baked conspiracy theorist. 3rd Stage – Evangelical: At this point you’ve lost a noticeable amount of weight. You’re feeling better than you have in years, and people are beginning to take notice. Folks ask, “how did you do it?” You answer with enthusiasm and detail, in fact, you’ll share your story with anyone who will listen. 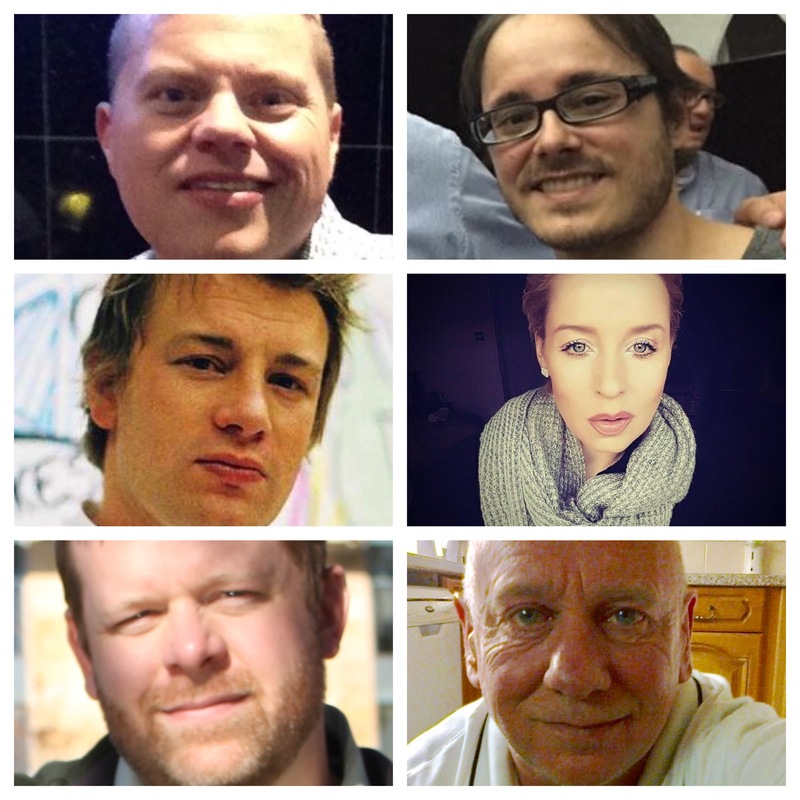 You share books with friends and stories, articles and pictures on social media. 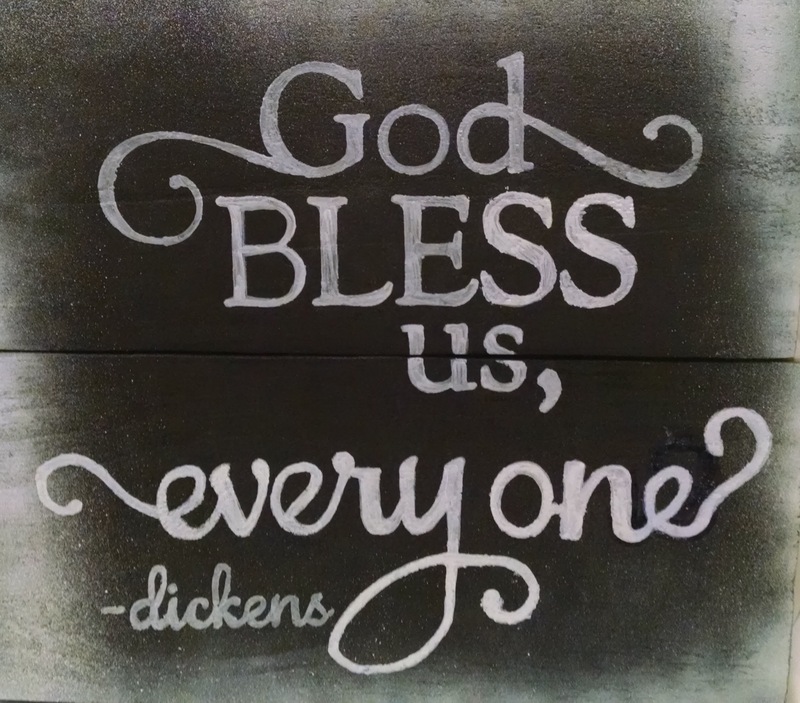 You seek out opportunities to help others discover the same revelations that you have. If you’re like me, you even become efficient in arguing your point. You find yourself practicing your Keto elevator pitch when you’re alone in the car, revisiting the last conversation you had, and how you could have made it more convincing. In a word, you’re obsessed! 4th Stage – Frustration: We all have friends and loved ones that could benefit from what we’ve learned. Observing them feed their disease can be most frustrating. You want to help them, simply because you care. But often times your pleas will fall on deaf ears for a multitude of reasons. 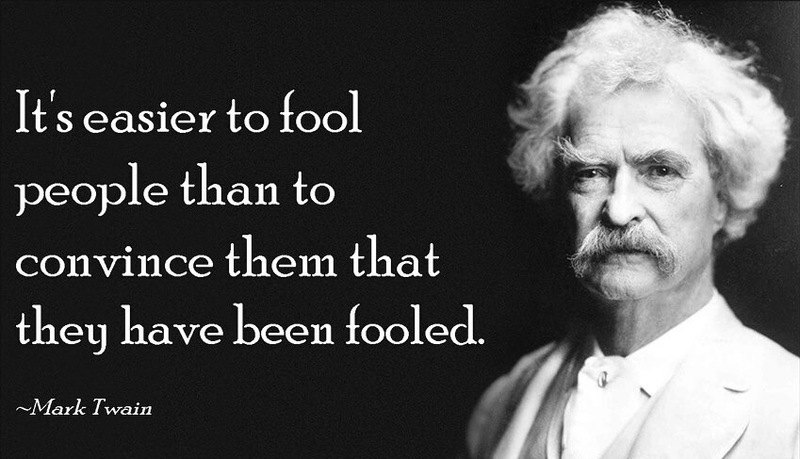 Mark Twain once said that “it’s easier to fool someone than to convince them that they have been fooled.” People simply do not take kindly to being told that they are wrong about something. Sometimes the stronghold of conventional wisdumb is just too damn strong. Especially for those that are set in their ways. Often times the very thought of skipping a meal, or not eating bread, or sugar is simply unfathomable. Sugars and grains are most certainly addictive, and addictions can be hard to overcome. Especially when you don’t believe that your addiction is even an addiction in the first place. If they don’t believe that their diet is the root cause of their illness, they will unlikely be motivated to change it. You might find your own family to be the source of much of your frustration. Saying no to foods and treats that were once familial staples can often rub family members the wrong way. There is much truth to the adage “we mock what we don’t understand.” Your new way of eating will be quite confusing and seem counterintuitive to those who don’t care enough to listen to your explanations or do their own research. 5th Stage – Acceptance: At this point you’ve settled-in to the realization that this new way of eating will be a fixture in your life for the rest of your days. You’ve come to terms with, and have accepted the unfortunate reality that not everyone in your life cares to learn about your new lifestyle. You may even adopt an “only discuss if asked” type policy for yourself, realizing that if you continue to lead by example, opportunities to share will inevitably come. It’s also important to accept the fact this new lifestyle that you have chosen will require you to continue to learn. New insights into optimal health are discovered constantly and continuously. Stay thirsty for knowledge, because nutritional research science never relents. It is unlikely that you will ever come to a point in which you feel that you “know everything” and that’s okay. Keep your mind open to new ideas. It’s important that we in the low-carb community not fall prey to the same dogmatic thought processes that we accuse the mainstream medical community of. As cliché as this may sound, this new way of eating (WOE) that you have chosen is not a diet, it’s a lifestyle. It is sustainable and does not have an end-date that coincides with a predetermined goal weight. Sustaining physiological, metabolic and immunological health is a process that never ends, therefore it is imperative that you acquire at least a broad-strokes understanding of the science before you begin. 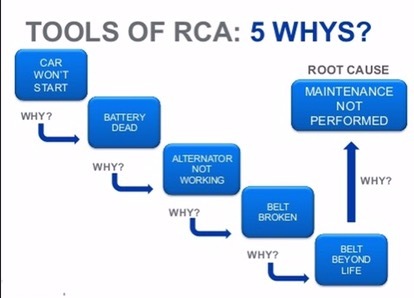 Besides, understanding the “why” will facilitate ease in making proper food choices. My hope is that perhaps you might learn from some of my mistakes, and put your days of yo-yo dieting and déjà vudoo behind you! Click here to read my interview with Amanda Åkesson, a health and wellness writer for DietDoctor.com in English. 2017 has been a banner year for unlrean-rethink.com. I’d like to extend a special “thank you” to Dietdoctor.com, The Huffington Post & MyFitnessPal for publishing several of my articles this year. I’d also like to express my appreciation to both Dr. Jason Fung and Prof. Timothy Noakes for helping me spread the word via Twitter. (It’s amazing how impactful a simple re-tweet can be). But most of all, I’d like to thank YOU, the reader, for always being supportive and sharing my articles about the vast interwebz! Best wishes to you all, and may 2018 be fondly remembered as the year your journey to health and wellness began! What if sugar caused cancer? What if I were to make the statement “Cigarettes Cause Cancer” and just leave it at that? Now, what if I were to make the statement “Sugar Causes Cancer” and left it at that? Well, when you put it that way! It doesn’t sound too far fetched does it? What if, back in the mid 1900s, there were two respected research scientists that had completely opposing views on optimal nutrition. One believed that the over-consumption of dietary fats were a detriment to health and the root cause of disease, while the other believed that sugar was the culprit. What if the world collectively embraced the findings of one of these scientists (Keys) and ostracized the other (Yudkin). Only to discover, some 50 years later, that they had been led down the wrong path. What if we had hitched our wagon to Yudkin’s insights and created our dietary guidelines accordingly? Would we be experiencing an obesity/diabetes epidemic and statistical upswing of cancer cases? It’s doubtful. What if cancer cells were attracted to sugar? Refined carbohydrates, like white sugar, white flour, high fructose corn syrup (HFCS) and soft drinks are extremely dangerous for anyone trying to prevent or reverse cancer. Sugar essentially feeds tumors and encourages cancer growth. Cancer cells uptake sugar at 10-12 times the rate of healthy cells. 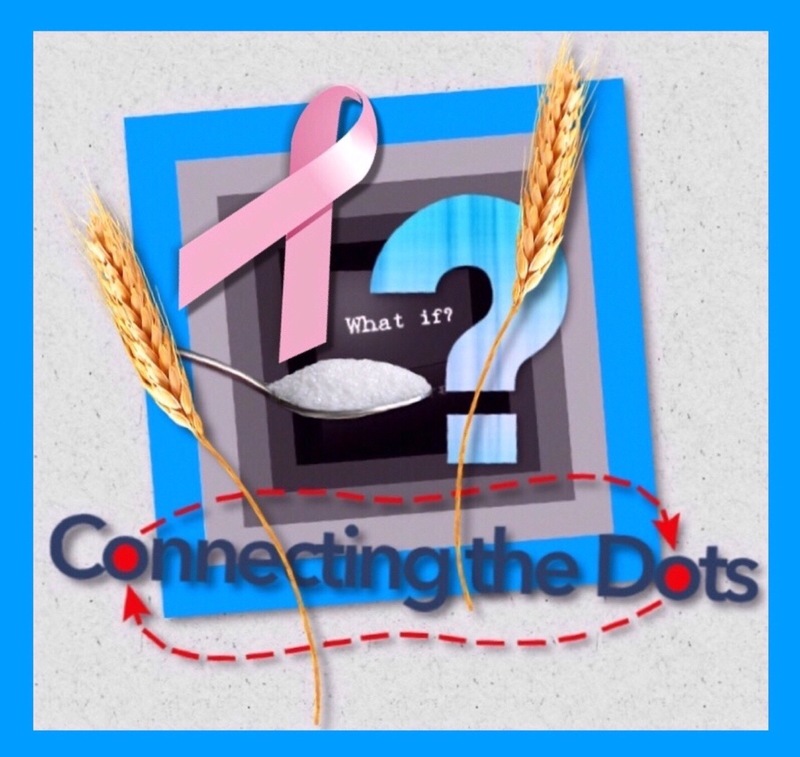 What if there was a commonly used test that actually demonstrates cancers attraction to sugar? This principle is the basis of the PET (positron emission tomography) scan, one of the most accurate tools for detecting cancer growth. PET scans use radioactively labeled glucose to detect sugar-hungry tumor cells. When patients drink the sugar water, it gets preferentially taken up into the cancer cells and they light up! The 1931 Nobel laureate in medicine, German Otto Warburg, PhD, discovered that cancer cells have a fundamentally different energy metabolism compared to healthy cells. He found that malignant tumors exhibit increased glycolysis (a process whereby glucose is used as a fuel by cancer) as compared with normal cells. What if sugar created an acidic environment? ﻿Warburg also found that cancers thrive in an acidic environment. Sugar is highly acidic. With a pH of about 6.4, it is 10 times more acidic than the ideal cellular alkaline pH at 7.4. Sugar suppresses a key immune response known as phagocytosis (the Pac-Man like effect of the immune system). Consuming 10 teaspoons of sugar can cause about a 50% reduction in phagocytosis. Not only the amount of sugar, but also the frequency of ingesting sugar is relevant to immune function. In one study, research subjects were found to have nearly a 38% decrease in phagocytosis one hour after ingesting a moderate amount of sugar. Two hours later, the immune system was suppressed by 44% and immune function did not recover completely for a full five hours. What if there were peer reviewed studies that demonstrated sugar’s relationship with cancer? When sugar (in any form) is consumed, the pancreas releases insulin. Breast tissue, for example, contains insulin receptors, and insulin is a powerful stimulant of cell growth. One group of Australian researchers concluded that high levels of insulin and insulin-like growth factor (IGF) may actually be causative of cancers of the breast, prostate, endometrium and pancreas. A broad study conducted in 21 countries in Europe, North America and Asia concluded that sugar intake is a strong risk factor contributing to higher breast cancer rates, particularly in older women. A four-year study at the National Institute of Public Health and Environmental Protection in the Netherlands compared 111 biliary tract cancer patients with 480 healthy controls. Sugar intake was associated with more than double the cancer risk. Obesity is a commonly known precursor and cause of cancer. Obesity also negatively affects survival. More than 100,000 cases of cancer each year are caused by excess body fat, according to the American Institute for Cancer Research. These include esophageal, pancreatic, kidney, gallbladder, breast and colorectal cancer. What if sugar was the fuel that caused cancer to grow? What if a group of Belgian researchers published a peer reviewed study implicating sugar as an actual cause of cancer as recent as earlier this month? Every media outlet, be it print, internet, television, mainstream or otherwise have been scrambling to post their version of these groundbreaking findings. Unless you have been living under a rock for the past two weeks, you have likely seen a version of this story. Continue Reading: (1) The Announcement : (2) and the research study journal publication. 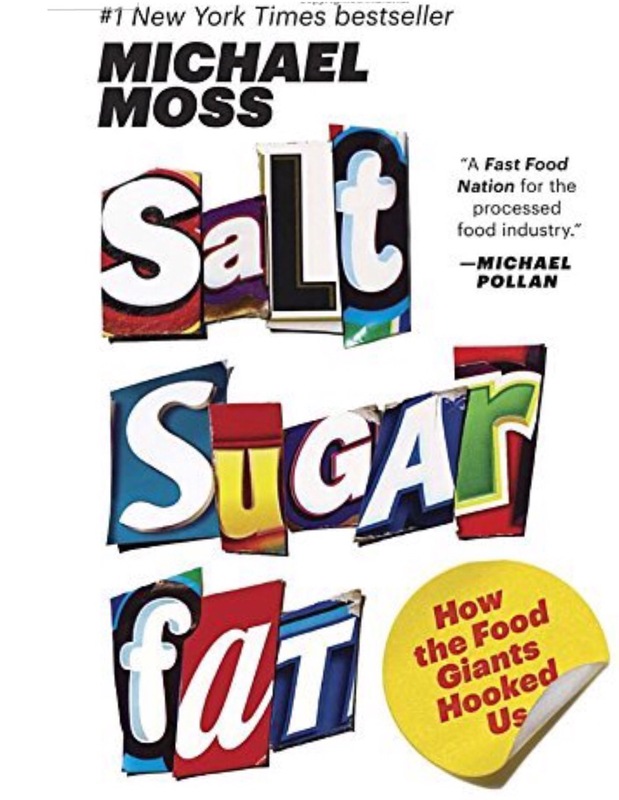 What if you learned that sugar wasn’t only those white crystals in your sugar bowl, or that sweetness in your coke? Did you know that the the glucose from starchy vegetables and refined carbohydrates, the maltose from grains, the lactose from milk, the fructose from fruit, etc. are all everybit “a sugar” and are metabolized in very similar ways, and at varying degrees, are also a detriment to your health if used in excess over a lengthy course of time? Hopefully this has been helpful in connecting the dots. Again, I ask, what if sugar caused cancer, I mean …what if? Get all your nutrition news and the most current in nutritional research science all in one place! Also a safe place to ask questions, get answers, encourage others and share recipes on your journey to health and happiness. This groups supports the basic parameters of any Low Carb – High Fat (LCHF) lifestyle such as NSNG, Paleo, Atkins, Banting, Zero Carb and Ketogenic Diets. We are 7500 members strong and growing daily. I realize how sensationalistic this sounds, but we are in trouble folks! Believe me, I wish I were exaggerating. The fact remains that over the course of the past 50 years our collective health has deteriorated by epidemic proportions. It’s been such a slow road of degradation that many have not noticed, and the majority seem unconcerned. Our staggering increase in mortality due to instances of obesity, diabetes, cancer, heart disease, metabolic and autoimmune disorders are now an undeniable statistical fact. It’s time we face up to the fact that our “sedentary lifestyles” have little to do with it. What must we do to combat this? 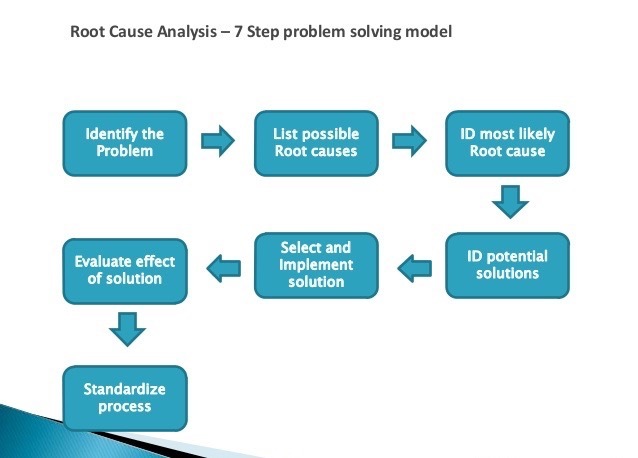 Well, first and foremost, we must identify the cause. At first, this sounds like a daunting task, but with a little investigation, the conclusion to this quandary becomes blatantly obvious. The culprit is the globally spreading prevalence of the “Standard American Diet” and the factions that continue to perpetuate its acceptance as a “Standard.” Whether for profit, or simply out of ignorance, there is an ever expanding list of (non)-trustworthy organizations that continue to contribute to this spiral of mortality. ﻿From Government regulations designed to aid industry (at the detriment of public health)﻿, to the local institutions that continue to miseducate students by adopting curriculum that teach doctors, nurses and dietitians dogmatic information based on misguided science. This statistical up-tick in all-cause mortality is ﻿currently overwhelming nearly every civilized country on the planet. 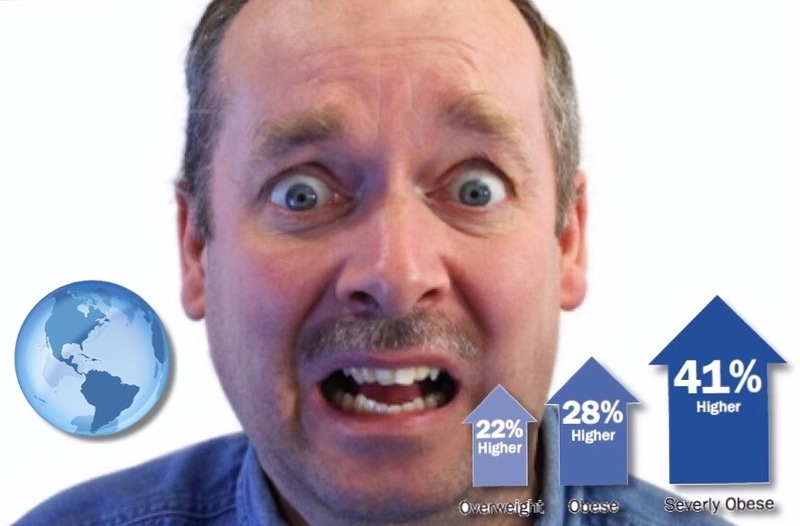 ﻿ “What the hell can I do about this?” …and take charge of your own health! The truth has been out there for centuries. 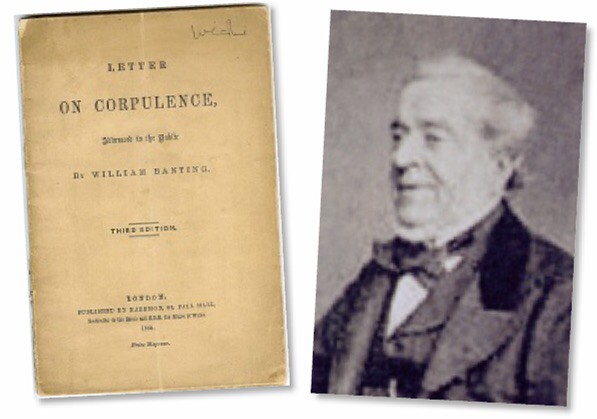 In 1863 William Banting published his Letter On Corpulence Addressed To The Public identifying excessive sugar and refined carbohydrates as the culprit in obesity. 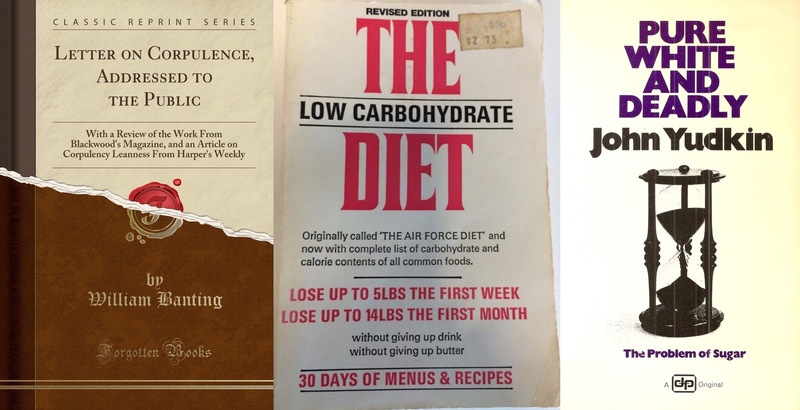 His philosophies resurfaced in 1965 as an underground movement in the “Air Force Diet.” While Ancel Keys was busying himself falsifying data and selling the US government on his low-fat = high carb + fear fat Diet Heart Hypothesis, there was a man across the pond in the UK (John Yudkin) who had furthered Banting’s work in an attempt to warn the world that sugar was Pure, White And Deadly in 1972. 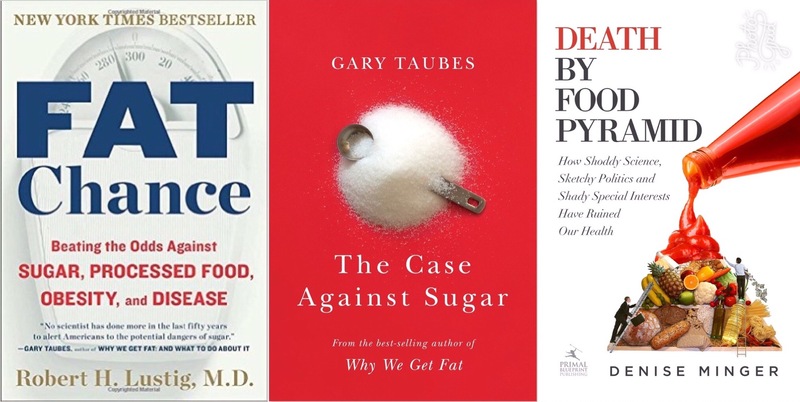 Fat Chance by Dr. Robert Lustig, The Case Against Sugar by Gary Taubes (both New York Times best sellers), Death By Food Pyramid by Denise Minger, The Obesity Epidemic by Zoë Harcombe, and Salt, Sugar, Fat by Micheal Moss all provide a thorough and detailed accounting of our global dietary decline. 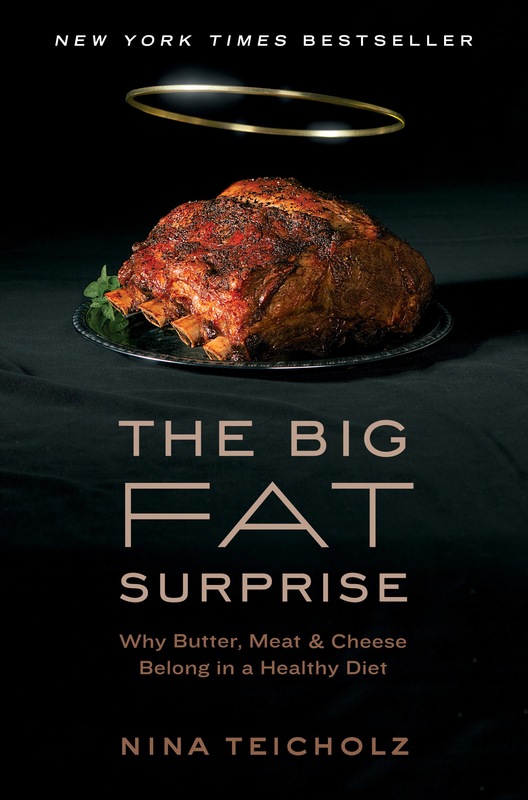 Widely considered the definitive book on this topic (were you to only choose one), I recommend international favorite The Big Fat Surprise, published in 2014, written by celebrated investigative science writer Nina Teicholz. Also a New York Times Best Selling effort. 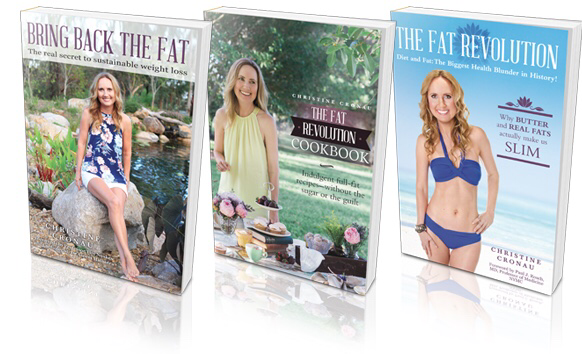 The Real Meal Revolution by Dr. Timothy Noakes, Always Hungry? 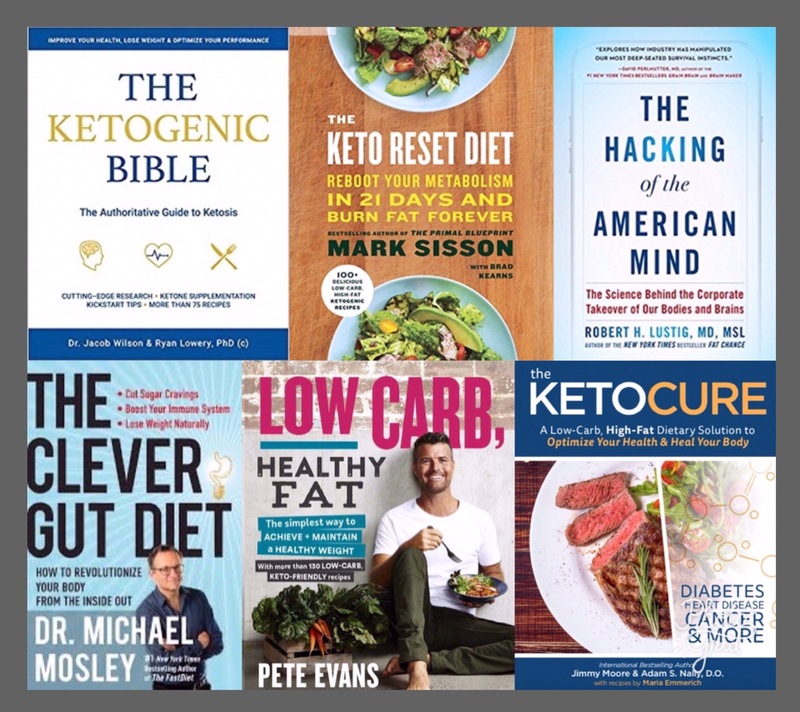 by Dr. David Ludwig, Why We Get Fat And What To Do About It by Gary Taubes, Eat Fat, Get Thin by Dr. Mark Hyman, The New Atkins For A New You by Dr. Eric Westman, The Wahls Protocol by Dr. Terry Wahls, Keto Clarity by Jimmy Moore and Dr. Eric Westman, Wheat Belly Total Health by Dr. William Davis, Keto-Adapted by Maria Emmerich, The Primal Blueprint by Mark Sisson, Low Carb, High Fat Food Revolution by Dr. Andreas Eentfeldt, The Pioppi Diet by Dr. Aseem Malhotra and Donal O’Neill, What The Fat? 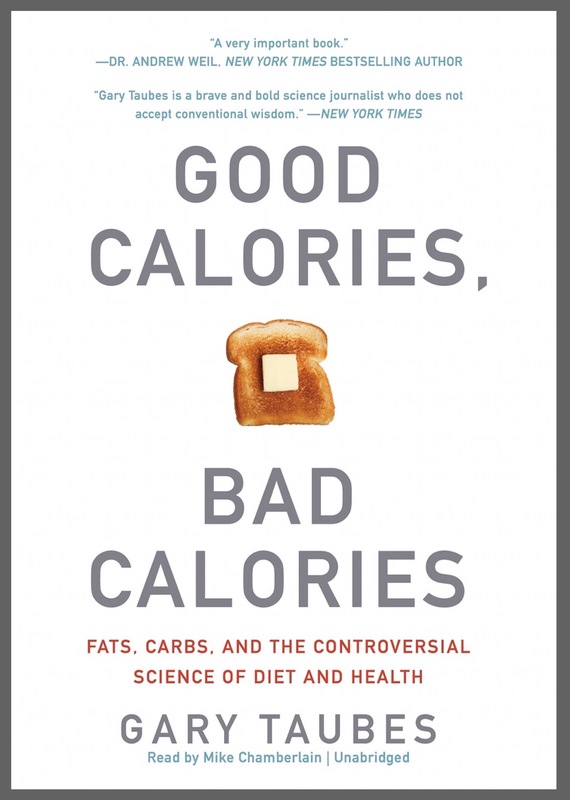 by Prof. Grant Scofield, Dr. Caryn Zinn and Craig Rodger, Food Rules: A Doctor’s Guide To Healthy Eating by﻿ Dr. Catherine Shanahan, The Harcombe Diet by Zoë Harcombe, The Paleo Cure by Chris Kresser, Fat For Fuel by Dr. Joseph Mercola, Wired To Eat by Robb Wolf, Tools Of The Titans by Tim Ferriss, The Rosedale Diet by Dr. Ron Rosedale, The Bulletproof Diet by Dave Asprey, The 7 Principles Of Fat Burning by Dr. Eric Berg DC, The Banting Pocket Guide by Professor Timothy Noakes, Bernadine Douglas & Bridgette Alan and lastly, the updated version of Robb Wolf’s book The Paleo Solution, The Original Human Diet, Protein Power by Drs. 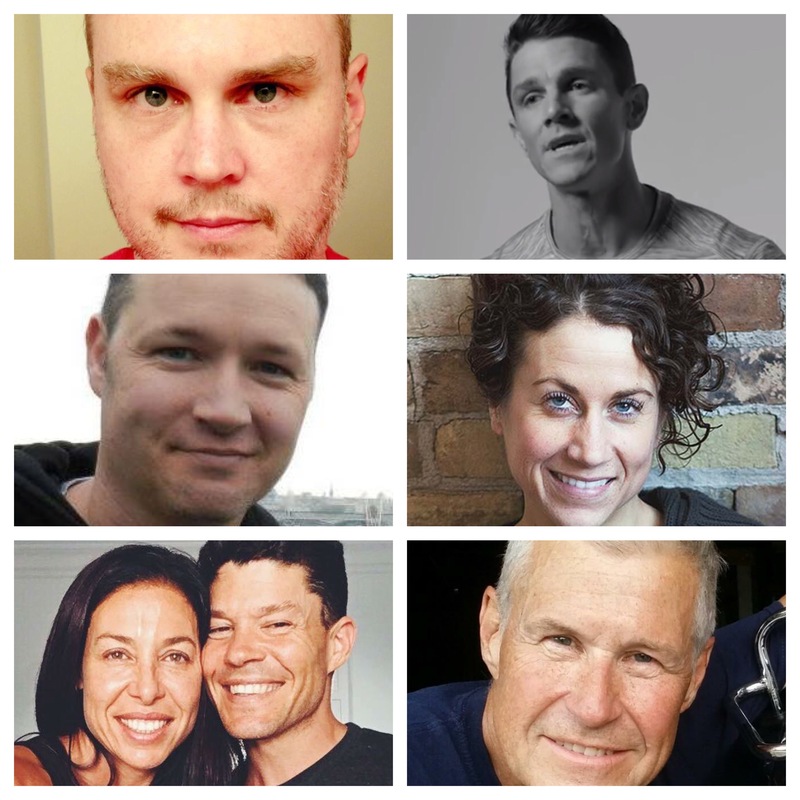 Micheal and Mary Eades, Fit 2 Fat 2 Fit by Drew Manning and Brad Pierce, Deep Nutrition by Dr. Catherine Shanahan, and Bring Back The Fat by Christine Cronau just to name a few. 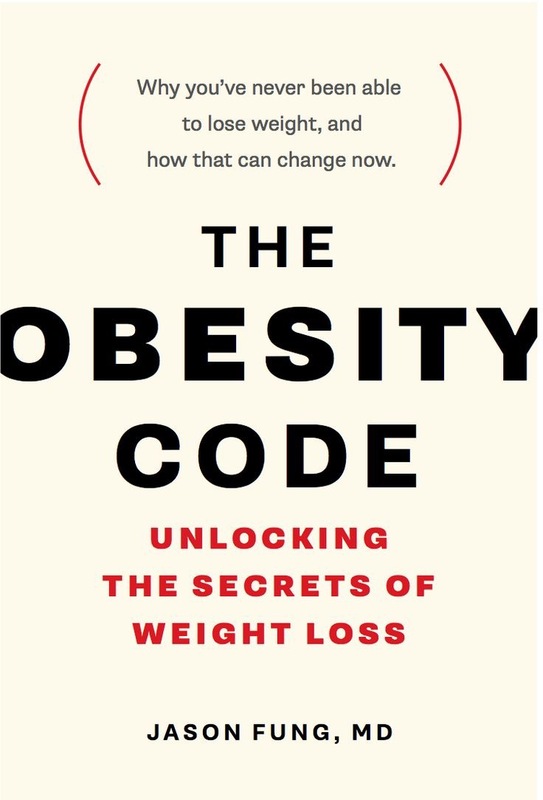 Were you to choose only one, my personal favorite is The Obesity Code written by Canadian Nephrologist Dr. Jason Fung. As the proprietor of Intensive Dietary Management in Toronto, Dr. Fung is a clinician that has real-world experience and an uncanny talent for cutting through the BS. He “tells it like it is” in an entertaining way that makes it easy for non-scientific minded laymen to really grasp an understanding. 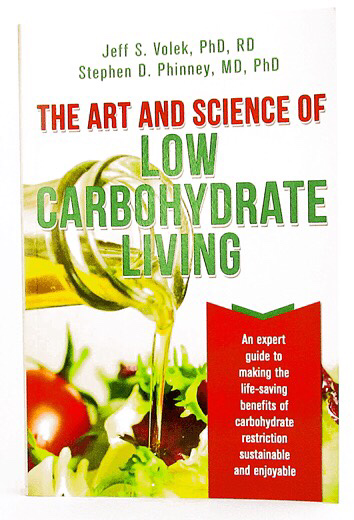 This book is perfect for sharing and provides an excellent introduction to the LCHF/Ketogenic lifestyle. 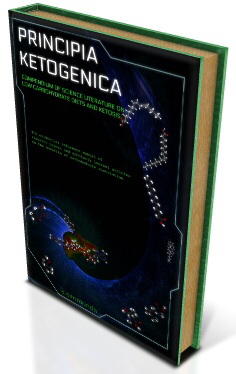 Principia Ketogenica: Low Carbohydrate And Ketogenic Diets – Compendium Of Science Literature On The Benefits by A Simmonds contains 319 pages of important science and studies related to low-carb, high-fat diets, with hundreds of research papers and scholarly journal articles from over the past century, summarized and fully referenced. Though available in hardcover, the e-book provides active links to pertinent studies and abstracts. There are no recipes, testimonials, or popular articles. 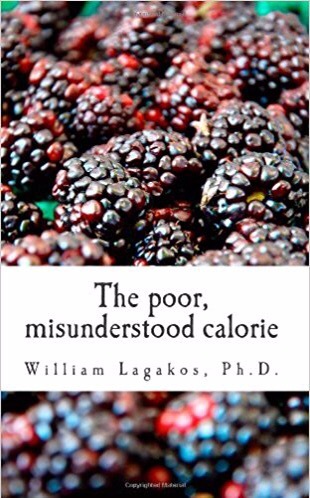 This book is current up to 2014, perhaps the greatest collection of relevant nutrition science available to date. You’ve undoubtedly heard of the vegan or vegetarian diets and their claims that a plant based diet is optimal for heart health. The propaganda for these deprivation diets are often fueled by PETA and other animal rights organizations. They are famous for manufacturing and manipulating scientific studies in an effort to legitimize a plant/grain based way of eating, claiming to be heart healthy and humane. The truth of the matter is: it’s dangerous. 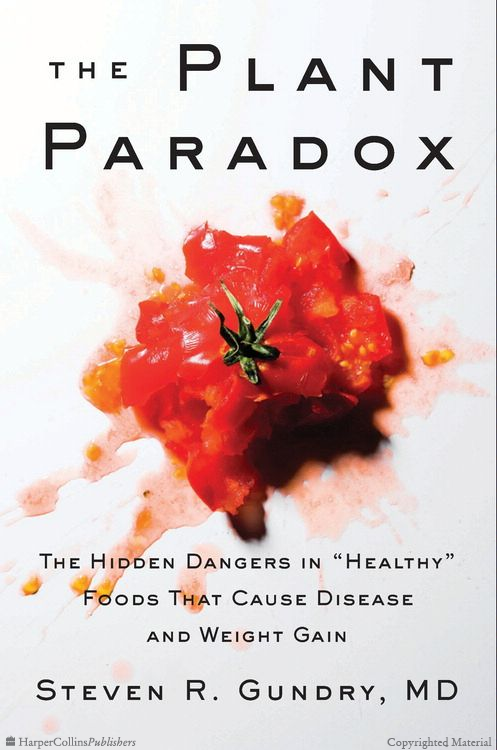 Dr. Stephen Gundry and Lierre Keith have tackled this topic in great detail, The Plant Paradox and The Vegetarian Myth both offer insight into the true science of these meat-phobic fads and shed some light on the sustainability and long term effects of carbohydrate dominant way of eating. Another interesting take on this same topic, Meat: A Love Story. 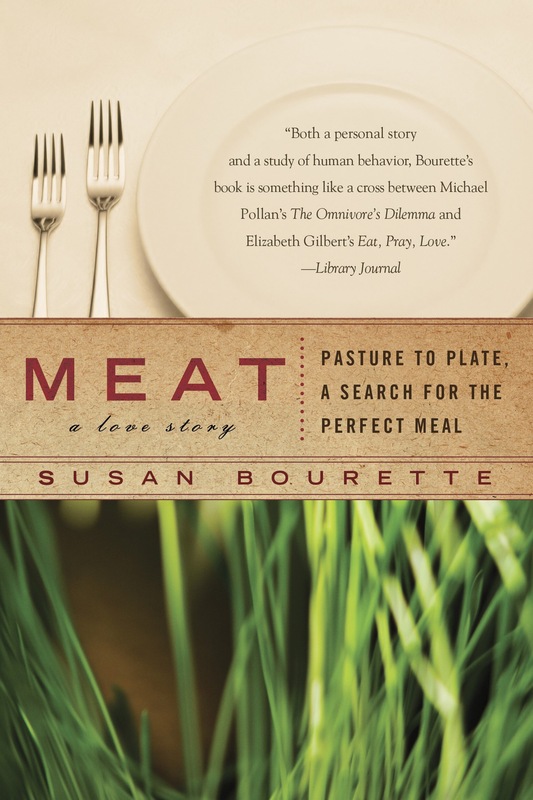 Pasture To Plate, A Search For The Perfect Meal by Suzanne Bourchette takes a less scientific, but equally impactful approach. 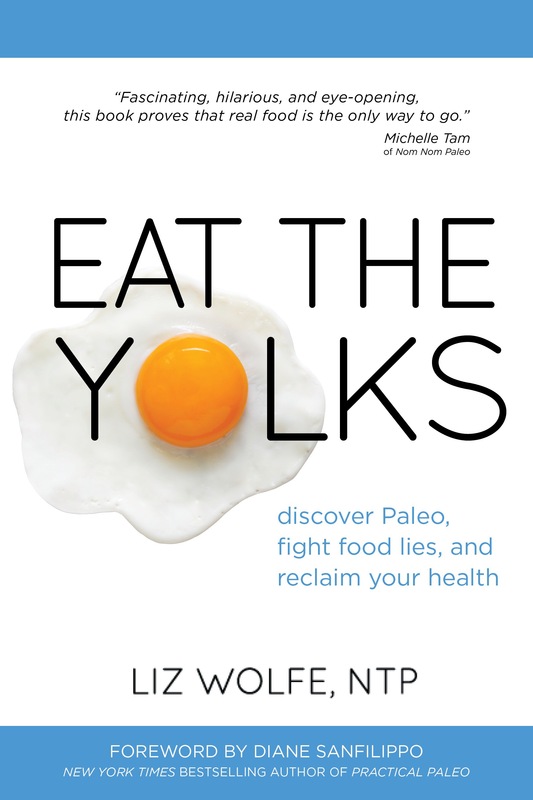 Another great edition to your nutritional arsenal that is rich in humor and abundant in information debunking the vegetarian/vegan mindset is Eat The Yolks by Liz Wolf. This book’s directive is aimed more towards the masses and is an easy read for the scientific layman. 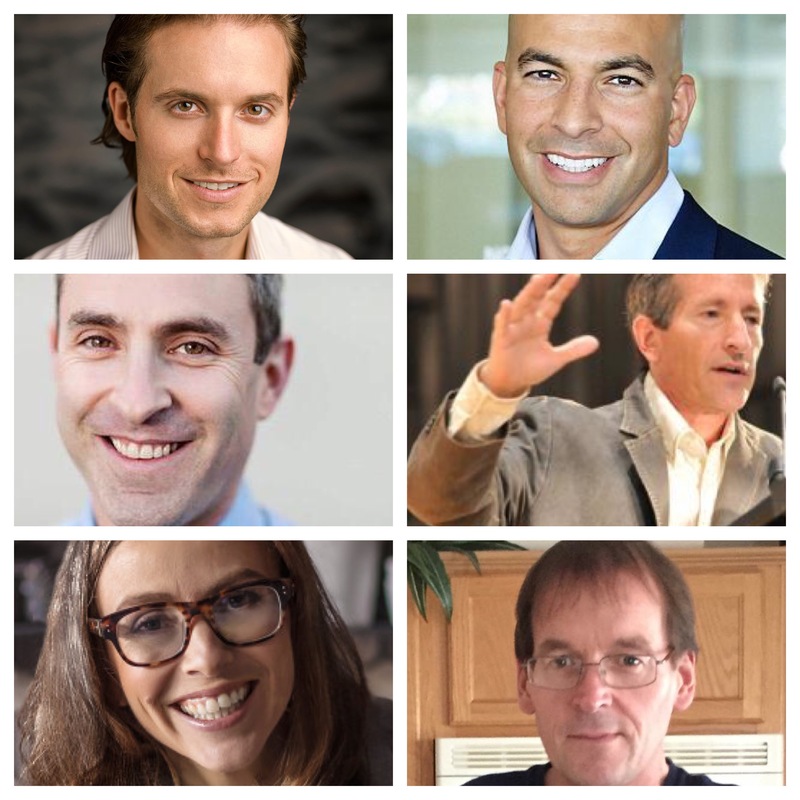 “Your good intentions have been stolen” and Vinnie Tortorich wants to help you get them back. 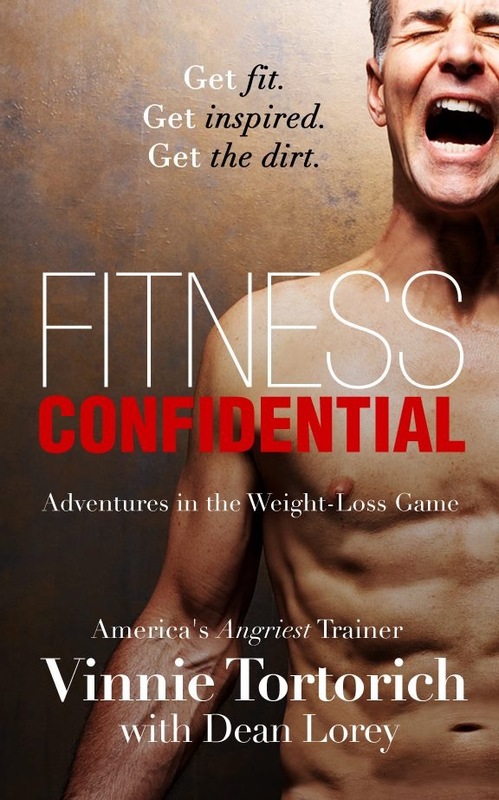 This Hollywood insider and fitness trainer to the stars has been sharing his insights with Hollywood’s elite for more than 30 years. In Fitness Confidential, Vinnie shares the inspiring story of how he beat leukemia by eliminating sugars and grains from his diet. 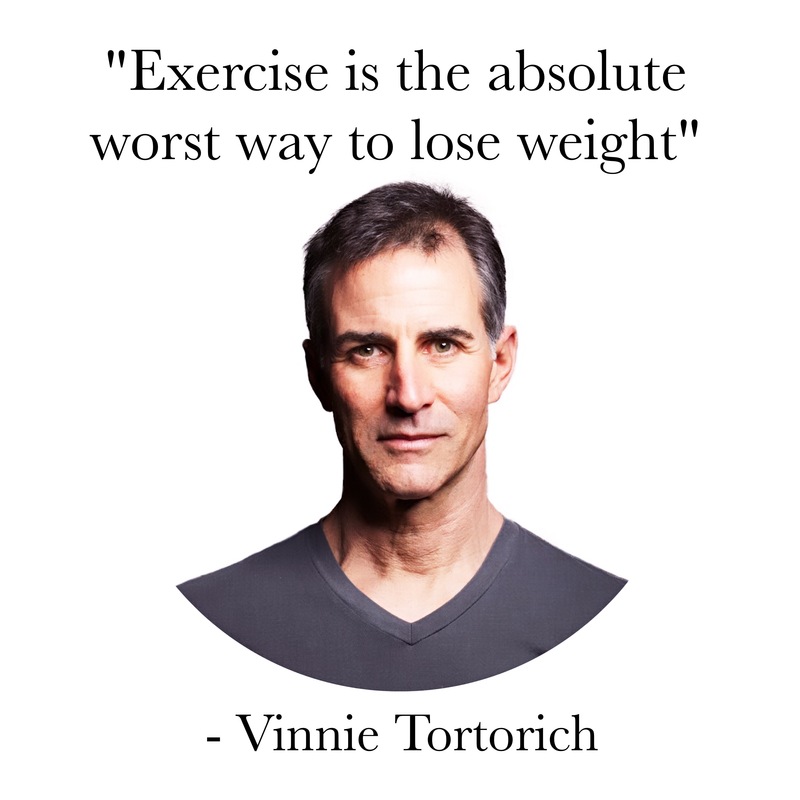 He also has many insightful tips that completely dispel the myth that sustainable weight loss is a product of relentless exercise. Many in mainstream society fail to make the connection that grains are sugar and convert to glucose in our blood. Over the course of history, these “not so heart healthy grains” have become increasingly more refined and therefore more detrimental to our collective global health. 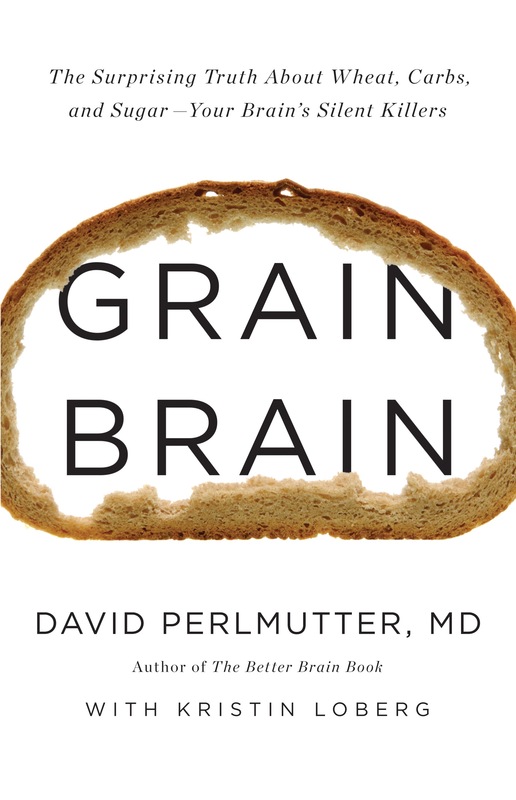 Both Dr. William Davis and Dr. David Purlmutter have written excellent books chronicling the many ways that grains have infiltrated our lives. 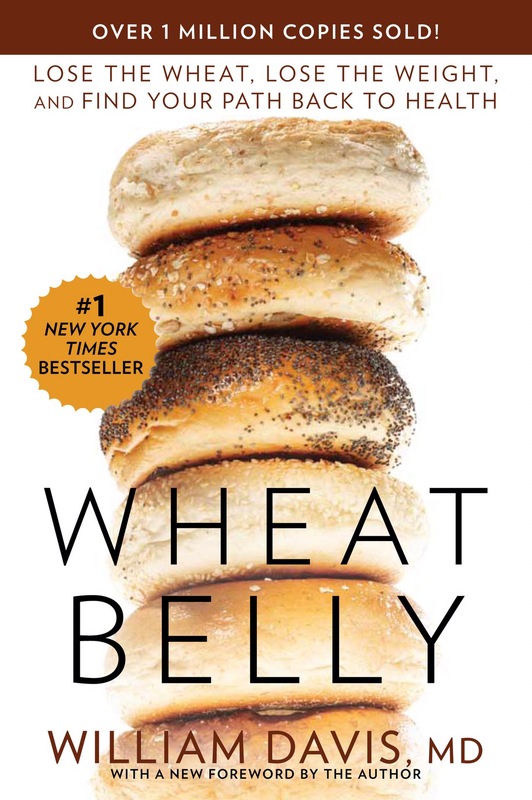 Both Wheat Belly and Grain Brain will set you on the path towards metabolic health by eliminating grains and refined carbohydrates from your diet. Dr. Purlmutter, an informed neurologist, focuses heavily on the mechanisms in which grains detour healthy cognitive function and gut health. Dr. Davis’s Wheat Belly program has rendered sales of more than 1 million copies, which is unprecedented in the world of nutrition. 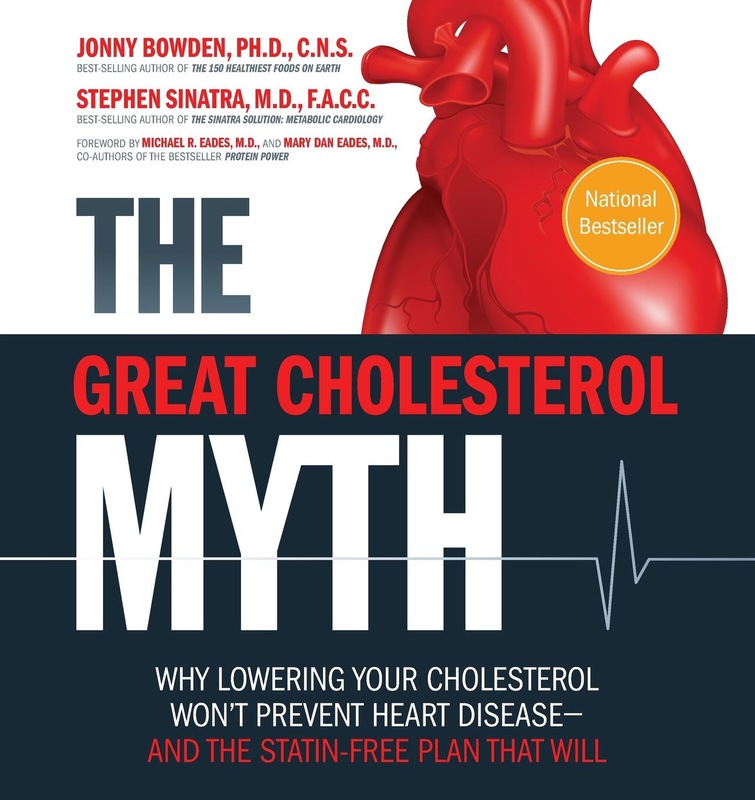 One of the most dangerous of the myths plaguing modern society today is the misguided obsession with high cholesterol, and the ﻿subsequent over-prescribing of statin drugs as a treatment. 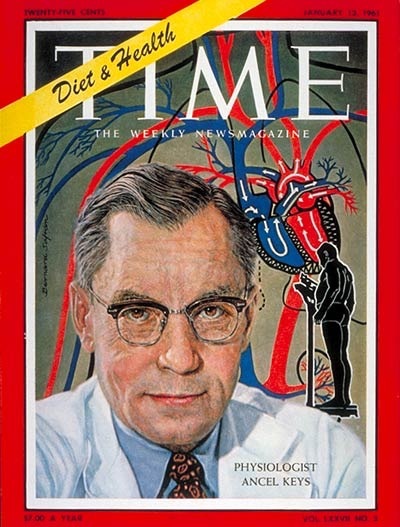 Derived in the 1950s from the Diet/Heart Hypothesis that Ancel ﻿Keys sold America based on fabricated science, this obsession with lipids as a marker for disease continues in earnest to this day (unfortunately, to the detriment of public health). Fat and Cholesterol Don’t Cause Heart Attacks, authored in a combined effort between Drs’ Paul Rosch, Zoë Harcombe and Malcolm Kendrick, The Great Cholesterol Myth by Dr. Jonny Bowden and Cardiologist Dr. Stephen Sinatra, Cholesterol Clarity by Jimmy Moore and Dr. Eric Westman and The Great Cholesterol Con written by Dr. Malcolm Kendrick each communicate a different spin and a detailed accounting of what cholesterol is and how it works in our bodies. All coming to similar conclusions. 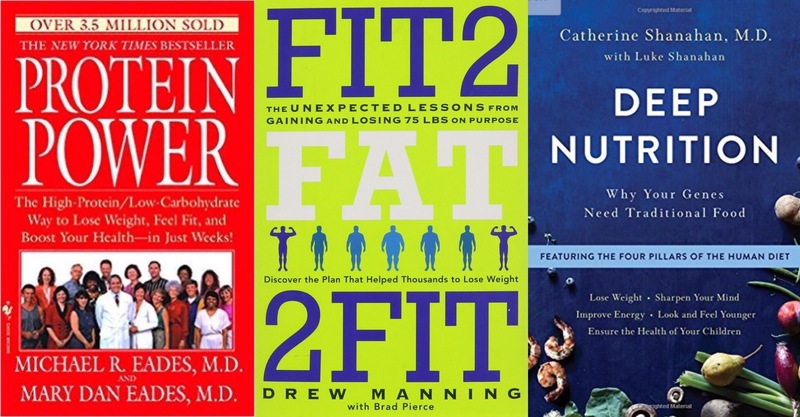 Any one of these books will change the way you think about heart disease forever. How many times have you heard that “salt gives you high-blood pressure“? In much the same way that many “blame the butter for what the bread did,” the same can be said of inditing salt for what the sugar has done. Sodium is a vital electrolyte that is essential for life. 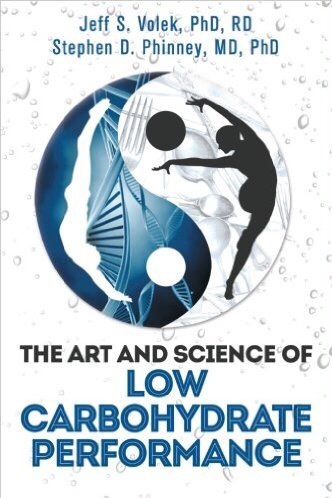 Dr. James DiNicolantonio goes into great detail as to the mechanisms of sodium and other vital electrolytes in our bodies ecosystem, as well as the abnormalities that can arise upon deficiency. 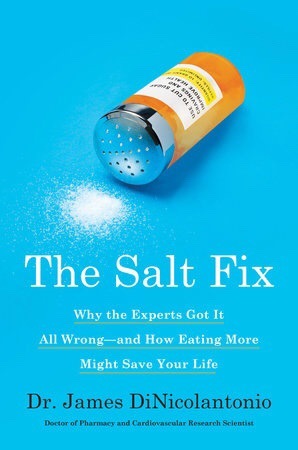 The Salt Fix is essential reading for anyone that remains fearful of salt and is still leary of its contribution to high blood pressure and heart disease. You can’t blame all of your medical troubles on a bad genetic hand. Sure, genetics are always a factor, but, in many cases, you have the power to either express these genes (or more importantly not express these genes) by controlling their environment. Every time you pick up a fork or spoon, you have the power to control that environment with your dietary intake. 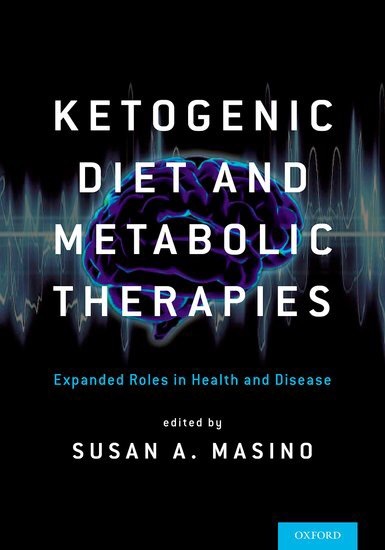 Between the covers of Ketogenic Diet And Metabolic Therapies, Susan Masino Ph.D. has collected and compiled an enormous amount of research in an effort to provide dietary therapies designed to combat and adjunct many of the most common maladies plaguing society to date. 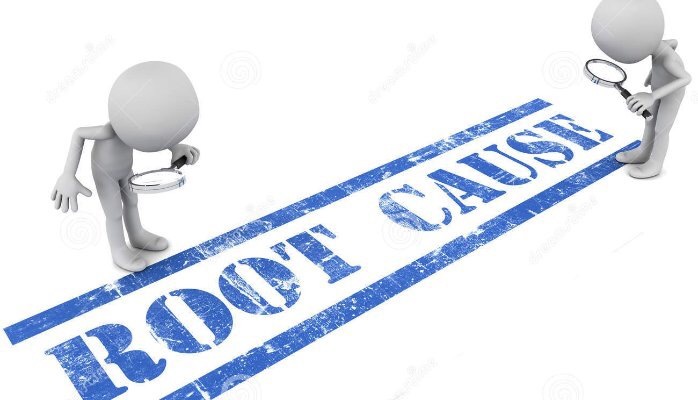 This particular publication is written for the science minded individual and provides a deep dive into treating for root cause. 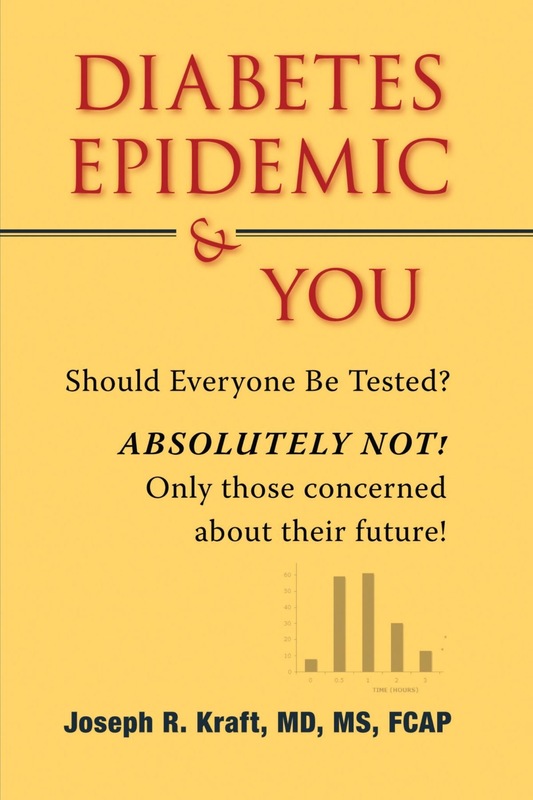 This is the book you want to share with your doctor. Poor nutrition is the root cause of most metabolic illnesses. Few General Practitioners, Pharmacists or even Specialists have been trained to any extent in nutrition. 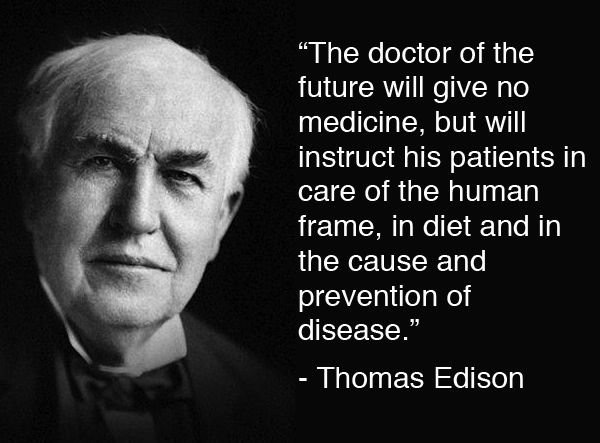 The fact is, most medical schools offer less than 20hrs of nutritional training in their curriculum. 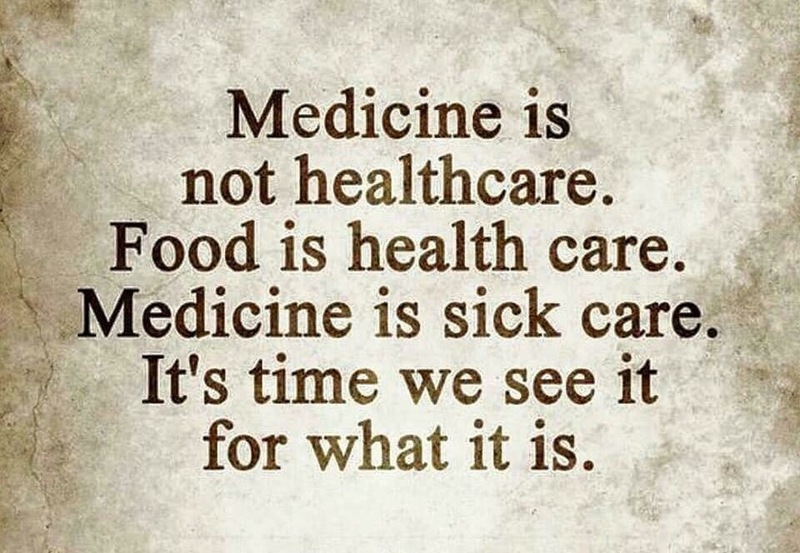 This brings up a sad truth: If you never address the root cause of a problem, it’s unlikely that a medication (designed to mask or alleviate a symptom) will be effective in regards to actual healing. 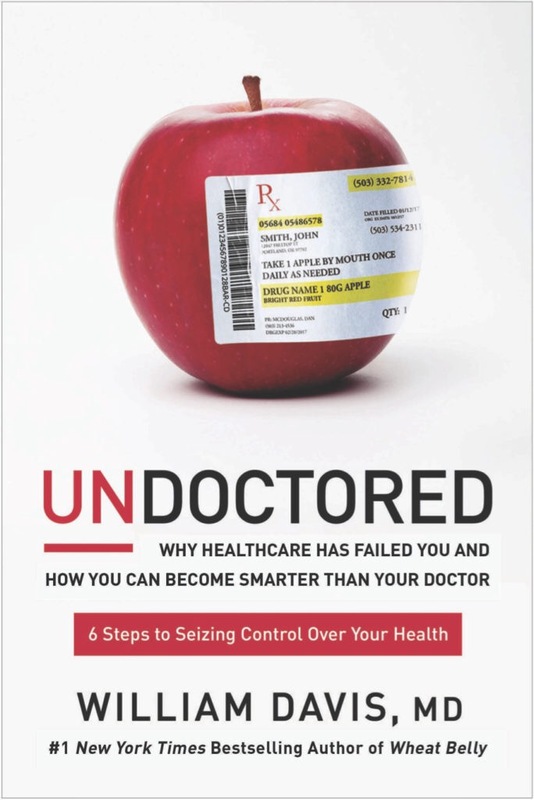 In UnDoctored, Dr. William Davis empowers you to shift control of your treatment into your own hands, providing root cause treatment for many of the most common metabolic an autoimmune diseases. 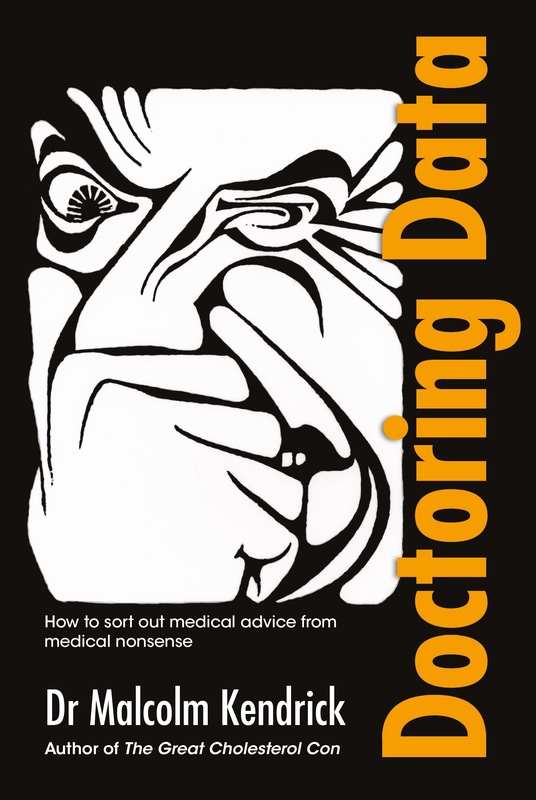 In Doctoring Data, Dr. Malcolm Kendrick further equips you to sort out medical advice and differentiate it from medical nonsense. 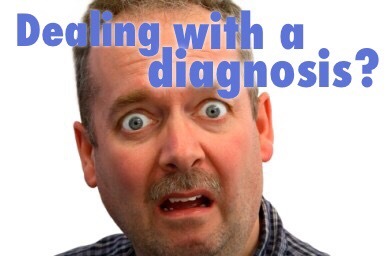 It takes an enormous amount of character for many doctors to admit that they have been wrong. 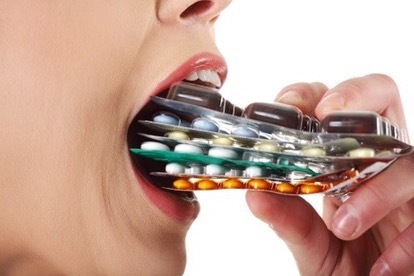 All too often pride and pharmaceutical money are obstacles to integrity. 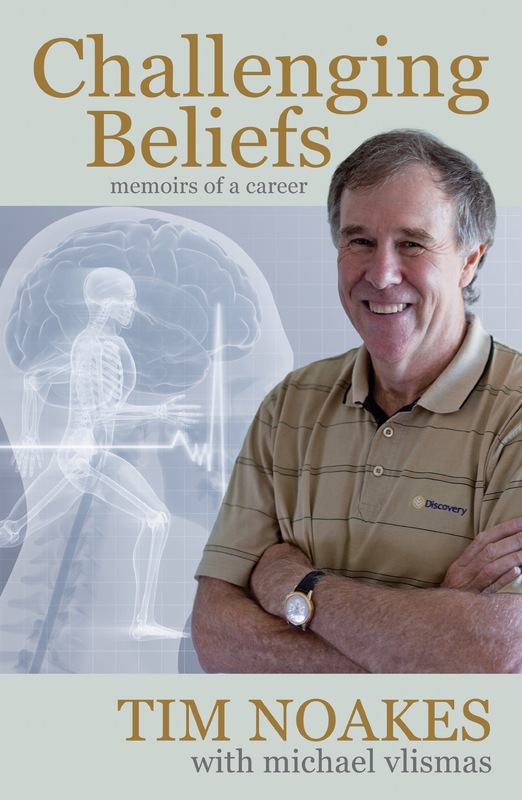 When Professor Tim Noakes discovered that his beliefs were misguided, he set out to set the record straight and is still in the process of doing so. In both Challenging Beliefs and The Quiet Maverick, Michael Vlismas, Daryl Ilbury and Dr. Noakes chronicle these revelations and the tribulations that followed. 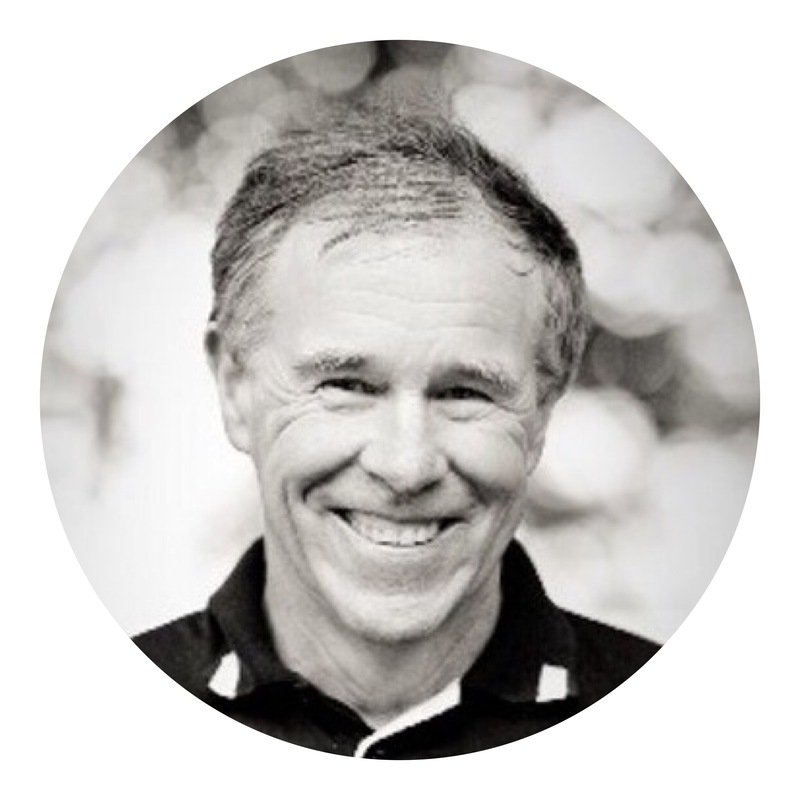 A folk hero to many, Professor Noakes continues to be a driving force behind altering the misconceptions of dogmatic nutritional advice and forever changing the way people think about proper nutrition and how it should be formulated and implemented. Over the last 5 decades, the ritualistic global overconsumption of added sugars and refined carbohydrates has yielded a world-wide epidemic of insulin resistance. Diabetes and metabolic syndrome have hitched their wagon to obesity and rendered “Standard Medical Advice” useless as a combatant. An unfortunate majority still believe type 2 diabetes to be a “progressive and irreversible” disease. This is an emphatic untruth! Steps can be taken to reverse insulin resistance and to stop the progression of diabetes in its tracks. Any one of the following publications can set you on the path to controlling your blood sugar, and in many cases, discontinuing exogenous medications and treatments. 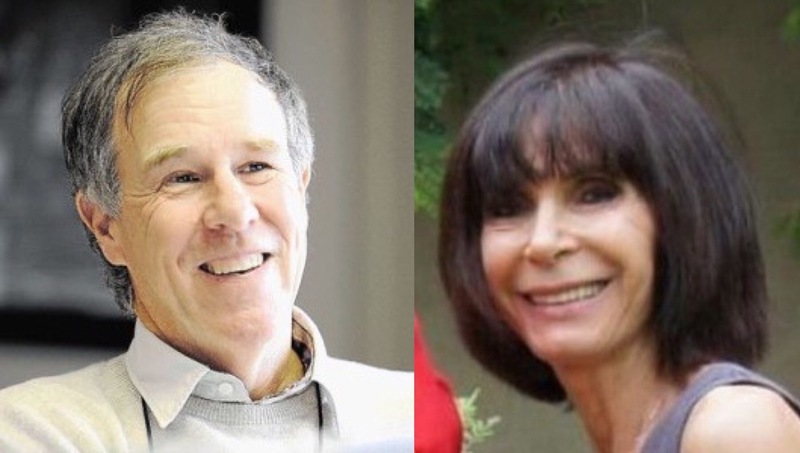 The Noakes Foundation of South Africa published an excellent collection of insights into the treatment of type 2 diabetes earlier this year. 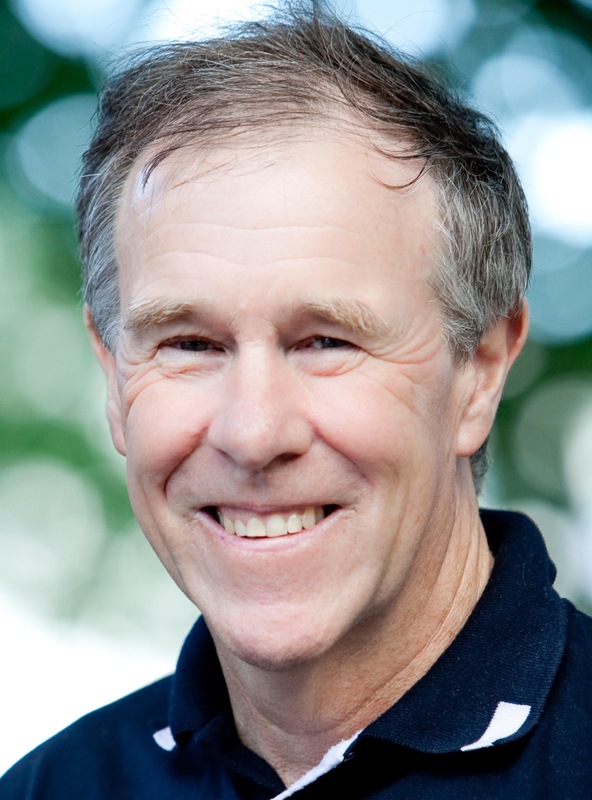 The Authors include: Professor Tim Noakes; Ivor Cummins, Dr. Robert Cywes, Dr. Jason Fung, Dr. Jeff Gerber, Mike Gibbs, Dr. Zoë Harcombe, Dr. Ian Lake, Lars-Erik Litsfeldt, Nina Teicholz, Dr. David Unwin, Dr. Neville Wellington, Jen Whitington (‘Fixing Dad’), Dr. Caryn Zinn and Dr. Malcolm Kendrick. 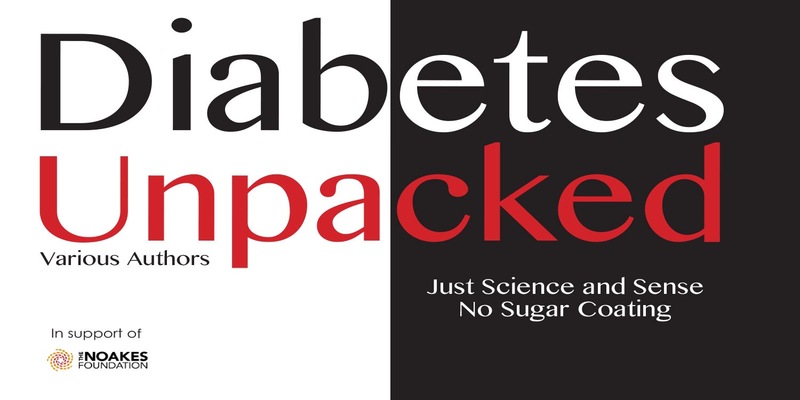 Diabetes Unpacked provides an excellent introduction into the science behind diabetes management and reversal. 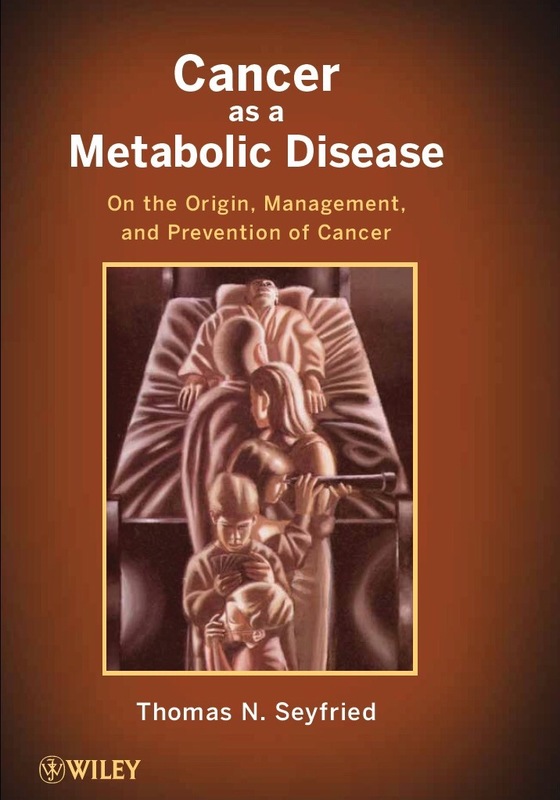 Dr. Joseph Kraft was a pioneer in averting the looming metabolic distruction of diabetes. 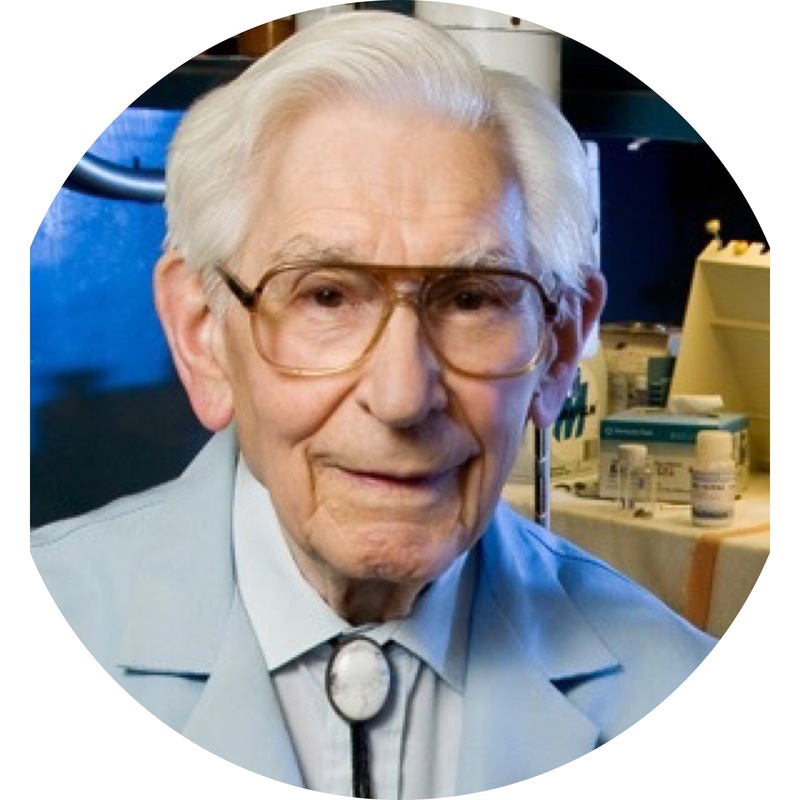 He discovered the earliest laboratory diagnosis for the disease in the 1970’s. In Diabetes Epidemic & You, he tried to warn the world – but the world wasn’t ready to listen. His research and methods are still touted as the gold standard. Though his tireless research was underappreciated during his lifetime, his work will continue to save lives for many decades to come. Few doctors are as beloved as Dr. Richard Bernstein. His national best selling book is likely responsible for the prolonging of 10s of thousands of lives. 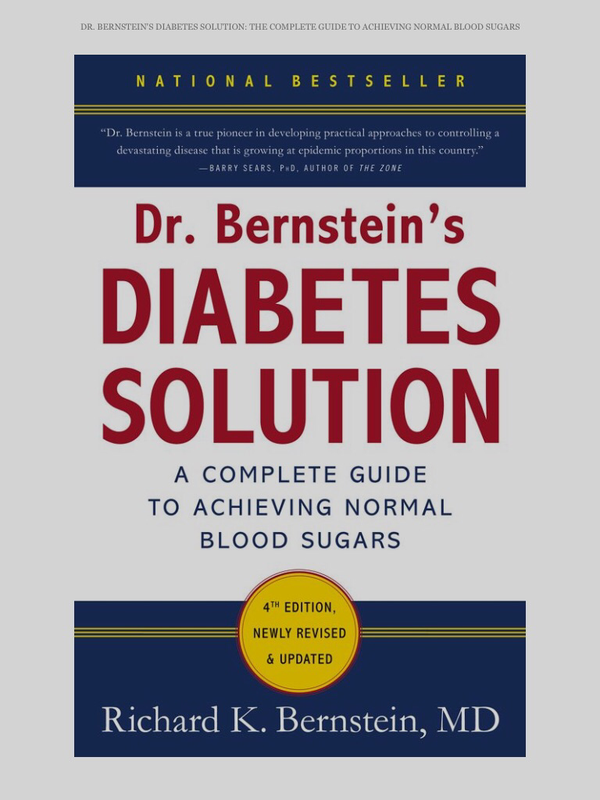 Dr. Bernstein’s Diabetes Solution sets forth a step by step, intensive implementation program that details the procedures for controlling your blood glucose levels. Were you to purchase only one book on the topic of diabetes management, this would be the one. 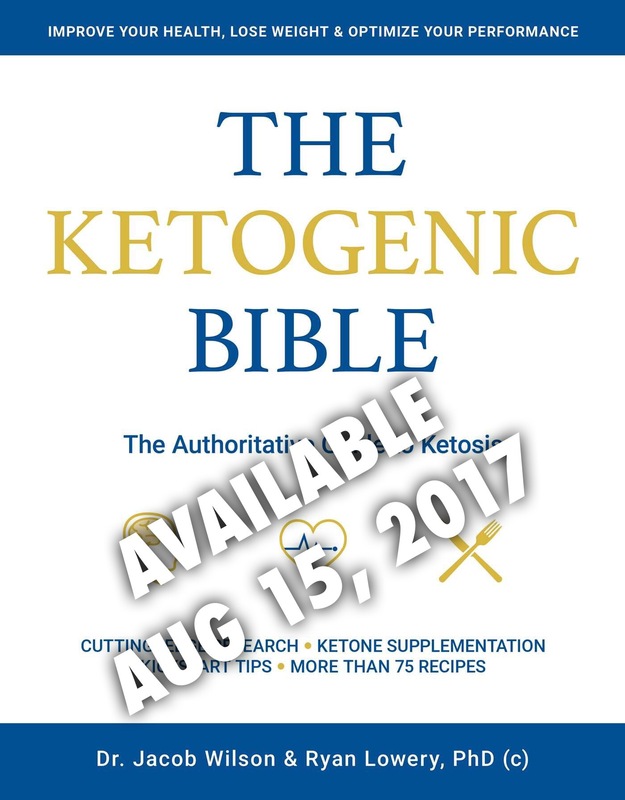 Dr. Keith Runyan and Ellen Davis take the ketogenic diet approach to diabetes management in both of these offerings. 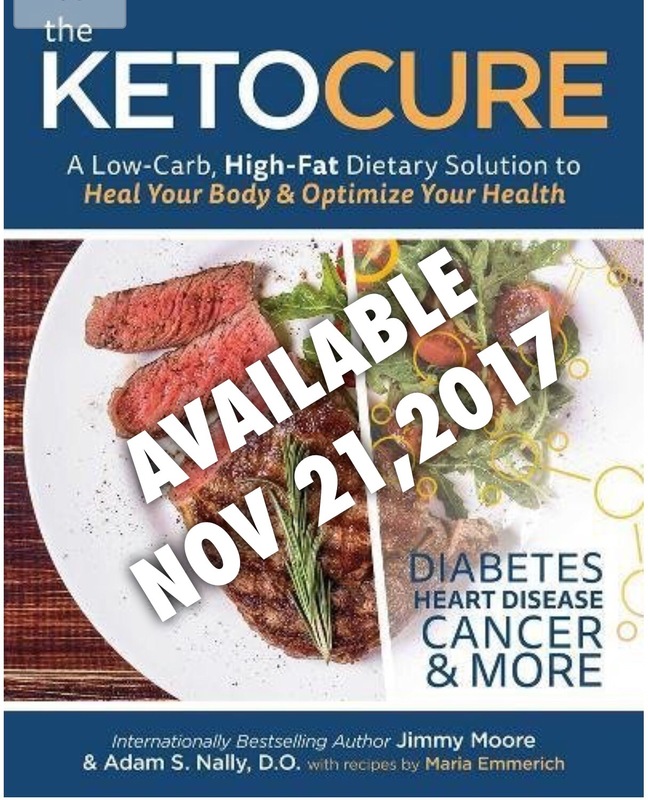 The Ketogenic Diet For Type 1 Diabetics and Conquer Type 2 Diabetes With A Ketogenic Diet take a nutritional approach specifically tailored for the intricacies of each of the two very different types of diabetic affliction. Much of the research behind these two publications are provided by the resources gathered in the previously mentioned books. Ellen Davis has a unique talent for breaking down complicated scientific concepts and making them easily understandable for the laymen and those who are recently diagnosed. It is believed by many in the medical and research communities that Alzheimer’s Disease is in fact the third form of diabetes. Just as type two diabetics have issues with insulin resistance and glucose metabolism, it has been discovered that some forms of Alzheimer’s disease and dementia are the result of insulin resistance and an inability to metabolize glucose to fuel the brain. Dr. Mary Newport stumbled upon some revolutionary truths while caring for her husband with Alzheimer’s disease. Her discoveries sparked the flame of an immense amount of research into the mechanisms of glucose and ketone metabolism as it pertains to cognitive function in the Alzheimer brain. 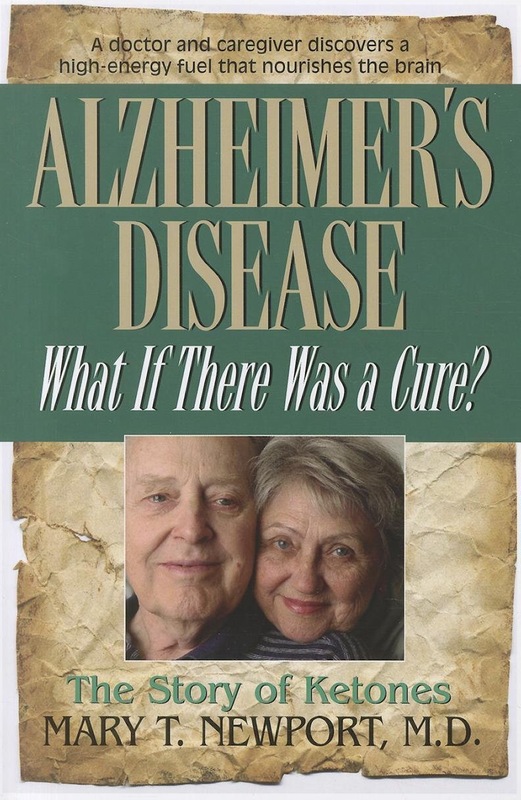 In Alzheimer’s Disease, What If There Was A Cure?, Dr. Newport chronicles these ground breaking discoveries that eventually lead Alzheimer’s Disease research into the right direction for the new millennium. 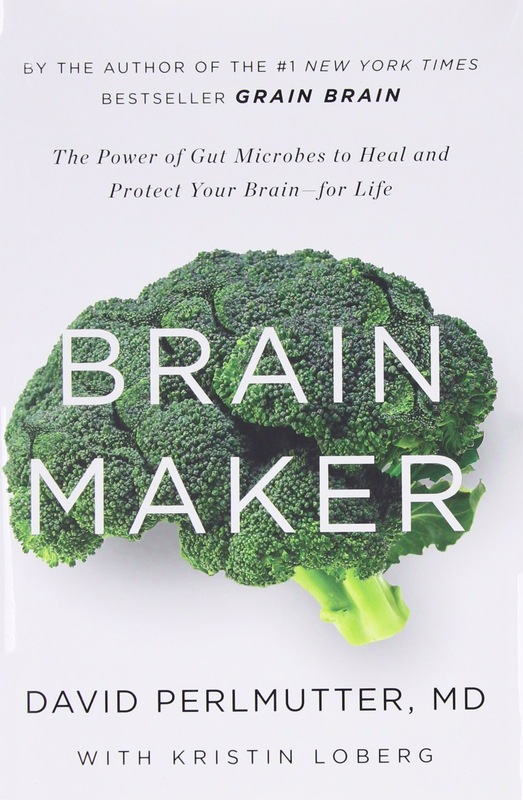 In Brain Maker, Neurologist Dr. David Perlmutter takes a deep dive into the relationship between the microbiome and brain health. Along with Kristin Loberg, Dr. Perlmutter connects the dots between careful attention to gut health and improved cognitive function. 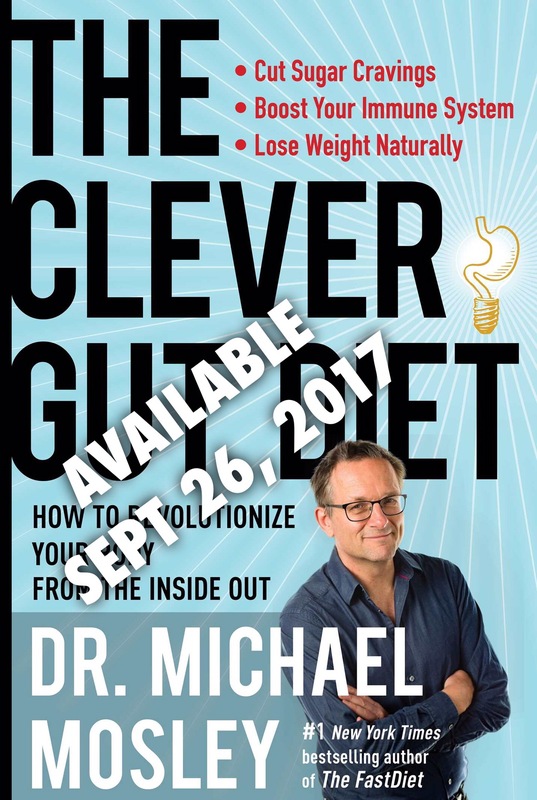 Originally trained in the science of physics, world renowned Neurosurgeon Dr. Larry McLeary also provides some excellent insights into the relationship between nutrition and cognitive function, the gut and brain connection in both The Brain Trust Program and in his weight management offering Feed Your Brain, Lose Your Belly. As research into the causation and treatment of cancer progresses, it is becoming increasingly obvious that proper nutrition can be an effective adjunct to traditional cancer treatments in many forms of cancer. Much of the most progressive research into the methodologies and treatment of cancer have been conducted by Dr. Thomas Seyfried. 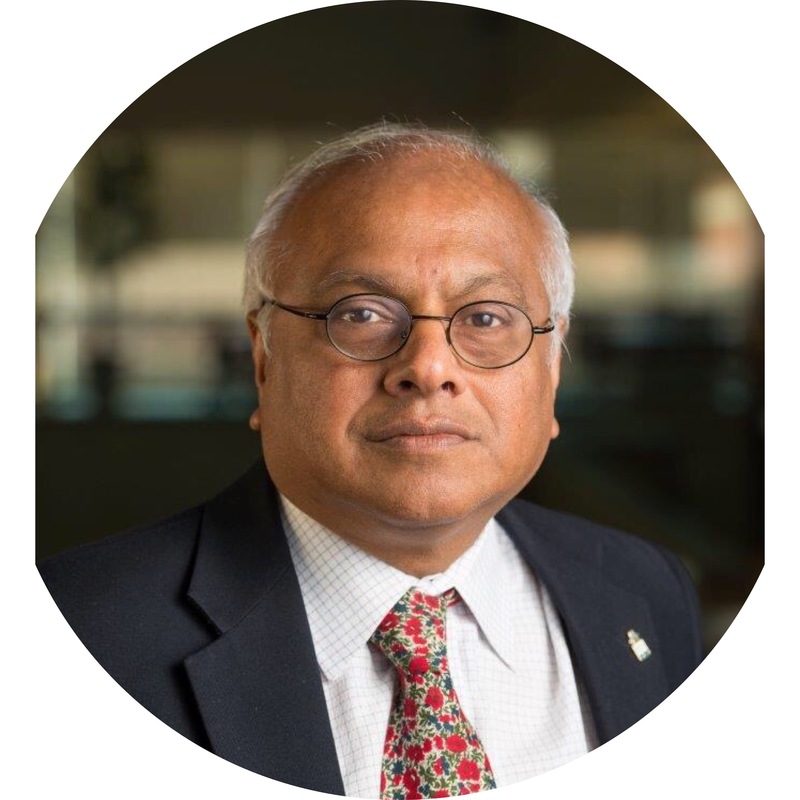 The collection of research that he reveals in Cancer As A Metabolic Disease sets the standard for the rest of the world to follow. 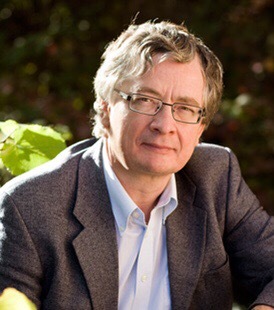 His research provides the foundation for many of the most important publications on this topic. On the topic of cancer, it’s impossible to know too much. If cancer is effecting your life, wouldn’t you want to learn about it from every possible angle? The discovery that certain types of cancer cells thrive on glucose has brought to light a whole new world of therapeutic possibilities. 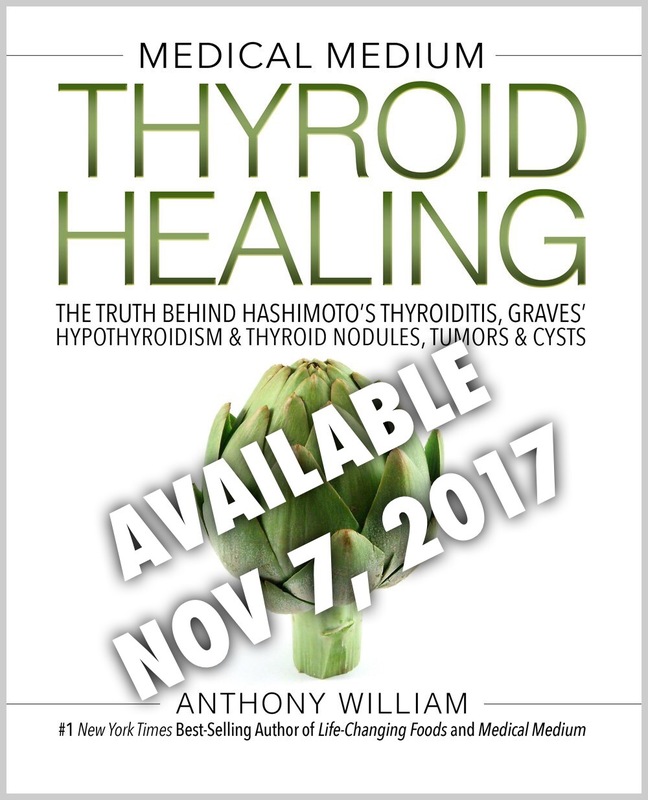 Tripping Over The Truth by Travis Christofferson, The Metabolic Approach To Cancer by Dr. Nasha Winters and Jessica Higgins Kelly and Fight Cancer With A Ketogenic Diet by Ellen Davis each take a unique approach to explaining the many mechanisms of cancer and the essential, as well as adjunct therapies that one can employ to combat this complicated disease. Honestly, I originally bought this book because of its cover. Turns out, it’s fantastic! 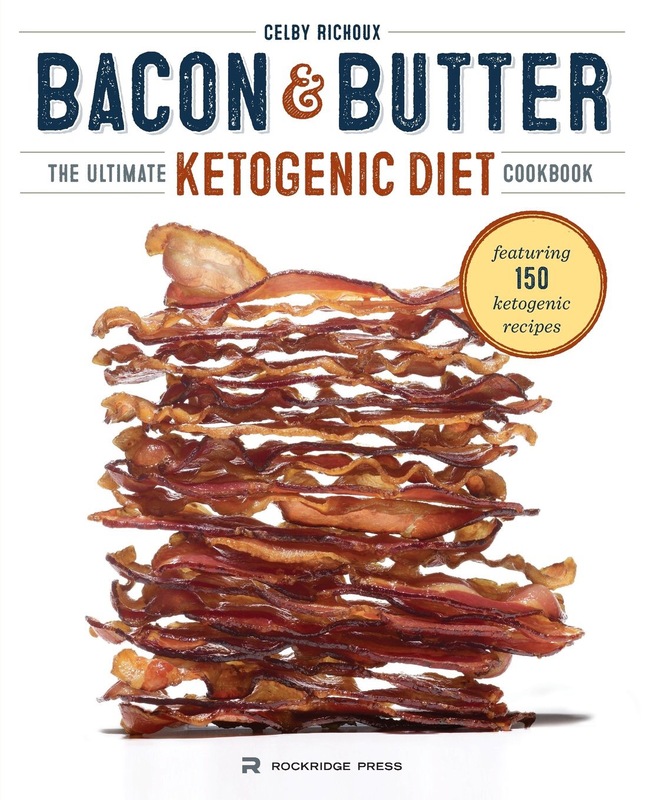 Bacon & Butter, The Ultimate Ketogenic Cookbook by Celby Richoux has my two favorite ingredients (no, not bacon & butter) variety and ease! I challenge you to get bored with your eating plan while cooking up these recipes. Any Cookbook from the likes of Domini Kemp, Patricia Daly, Maria Emmerich, Anna Vocino, Leahne Vogel or Martina Slajerova will be well worth your time and money. 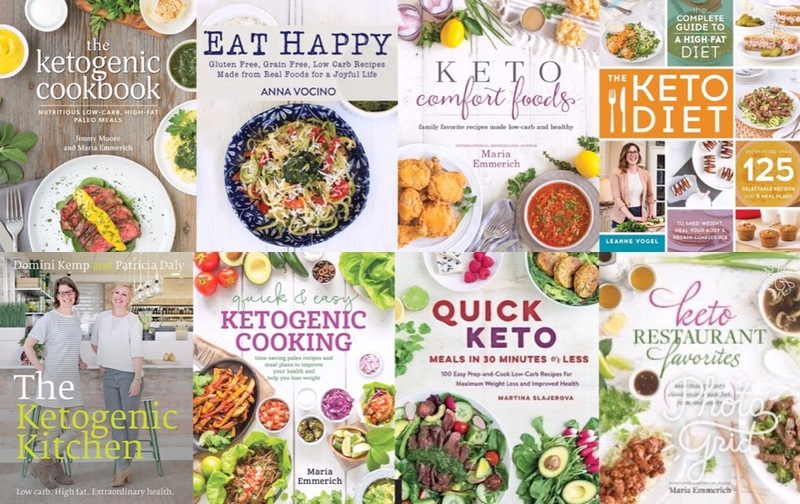 But most importantly, you can count on these cookbooks for delicious, healthy meals that have no hidden sugars or refined carbohydrates! This hilarious kids book written by Tom Naughton and illustrated by his wife Chareva is a high quality children’s book that does not condescend to the young audience. There are colorful graphics and helpful characters (like Mr. Spot and Dr. Fishbones, the science officer and medical officer of the Nautilus space ship) who help make the subject of the book more comprehensible. 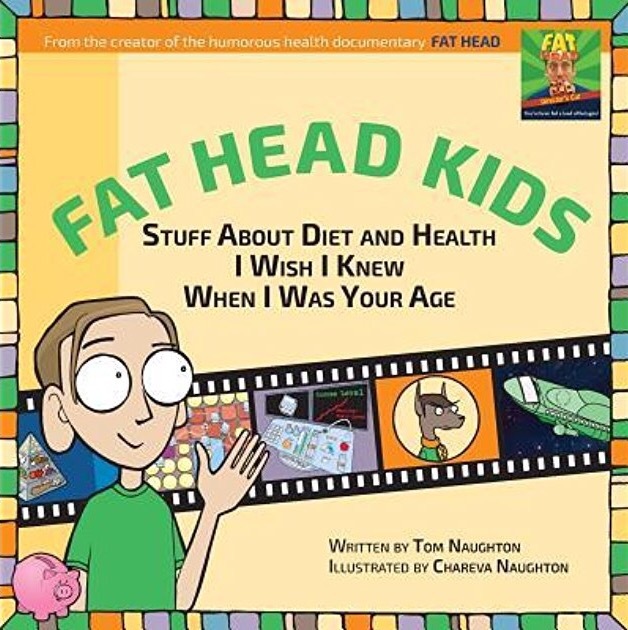 The nutrition and food chemistry covered in Fat Head Kids is more comprehensive than anything you’d read in a typical New York Times editorial about obesity–or even many undergraduate nutrition textbooks. The Noakes Foundation of South Africa, under the guidance of Professor Timothy Noakes, offer several helpful books that will provide you with strategies for raising healthy kids. 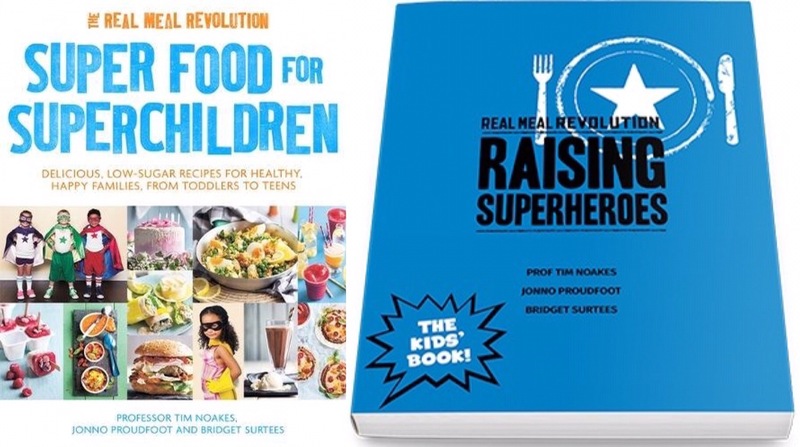 Raising Superheroes and Super Food For Super Children are both essential reading for parents that seek to impart a healthy advantage for their children, creating healthy habits that can last a lifetime. I list this as untitled only because Dr. Rangan Chatterjee has already changed the title twice, and it’s a long time between now and January. 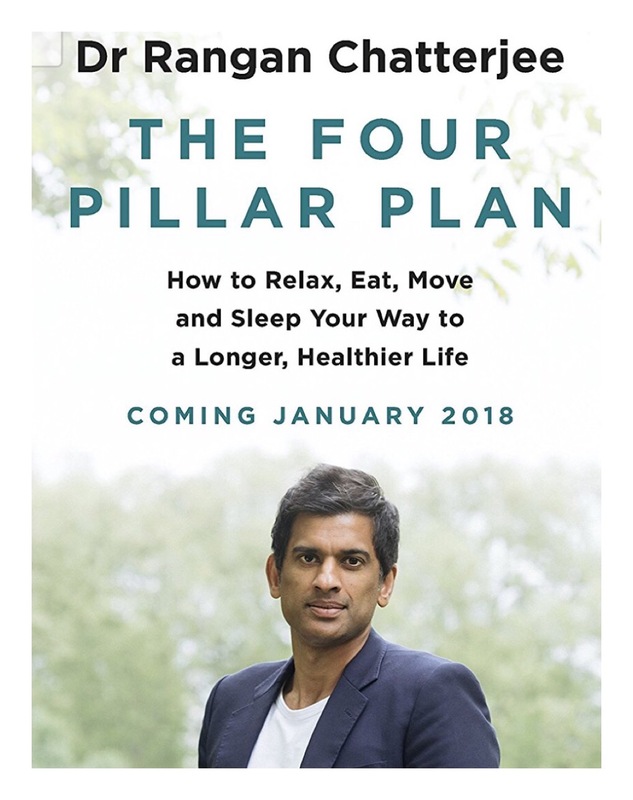 As it stands, his first book The Four Pillar Plan will be released in January of 2018 and is already available for pre-order on Amazon. When the brilliant mind of a world class engineer and 18 years of clinical experience come together, people sit up and take note. 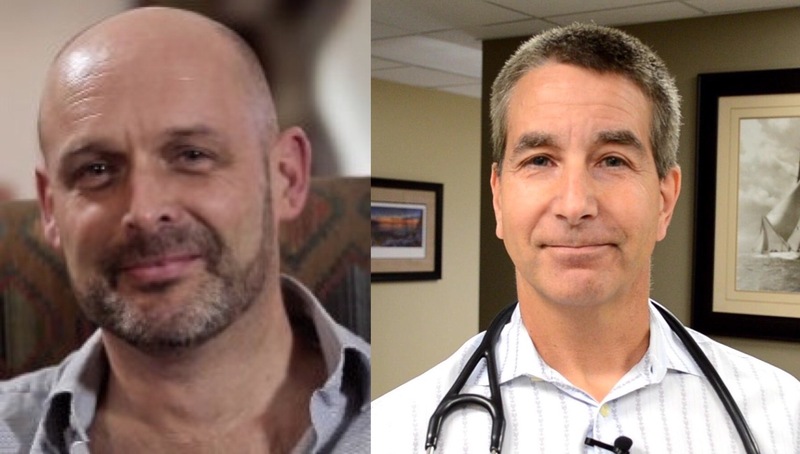 The upcoming collaboration between Ivor Cummins and Denver’s Diet Doctor Dr. Jeffry Gerber is, as of yet untitled, but will undoubtedly be worth the wait. 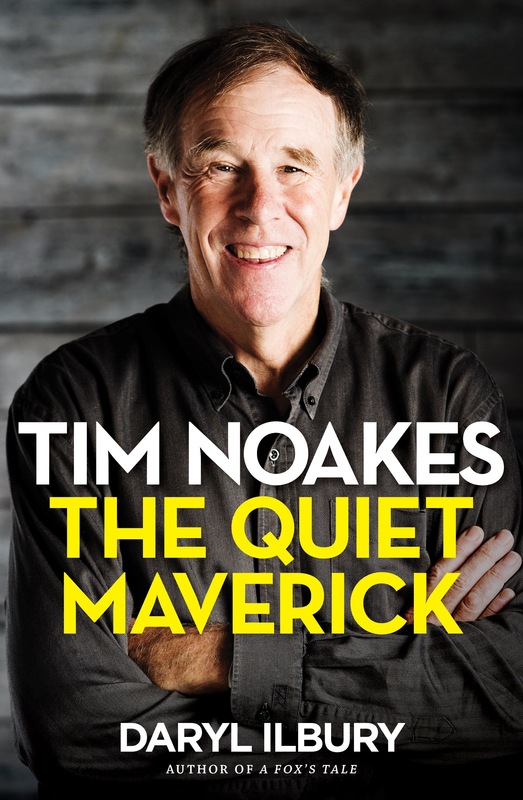 When a nutritional luminary gets in trouble for giving advice on Social Media and seizes the opportunity to educate the world, the Timothy Noakes trial of 2016/2017 has been considered by many to be the “Nutritional” Trial of the Century. Health Journalist and proprietor of foodmed.com, Marika Sboros chronicled the daily drama of this influential event from its beginning to its conclusion. The story behind this perfect storm of nutritional politics is one of the most anticipated books of the year. 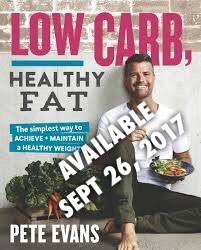 Though the title has not been officially announced, I was told by the most reliable of sources that this will be released in mid November and will be entitled Lore of Nutrition: Challenging Conventional Dietary Guidelines. Get all your nutrition news and the most current in nutritional research science all in one place! 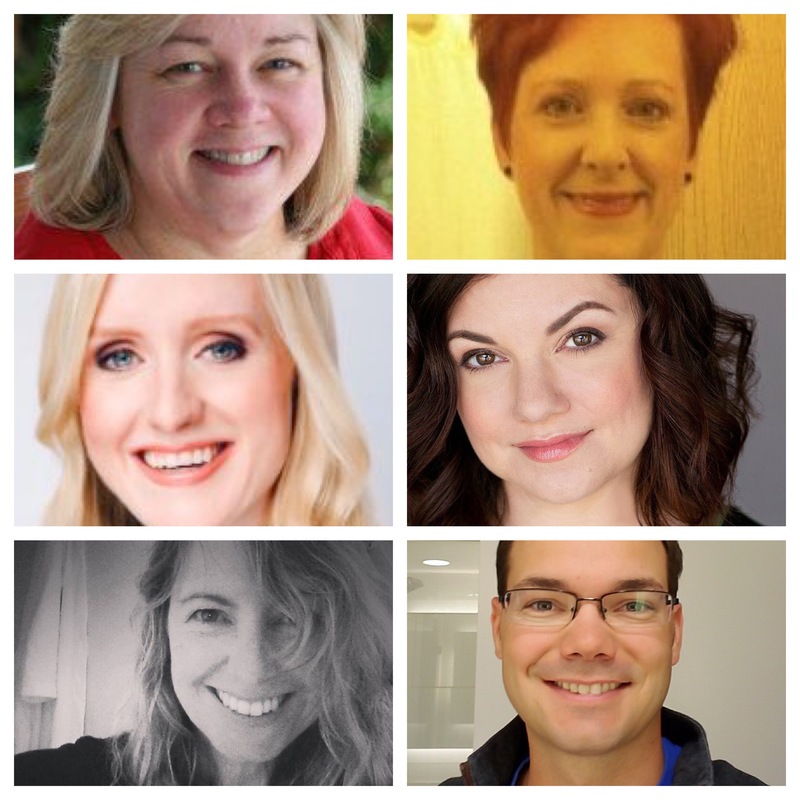 The “WELCOME TO KETO COUNTRY” FACEBOOK GROUP is a safe place to ask questions, get answers, encourage others and share recipes on your journey to health and happiness. 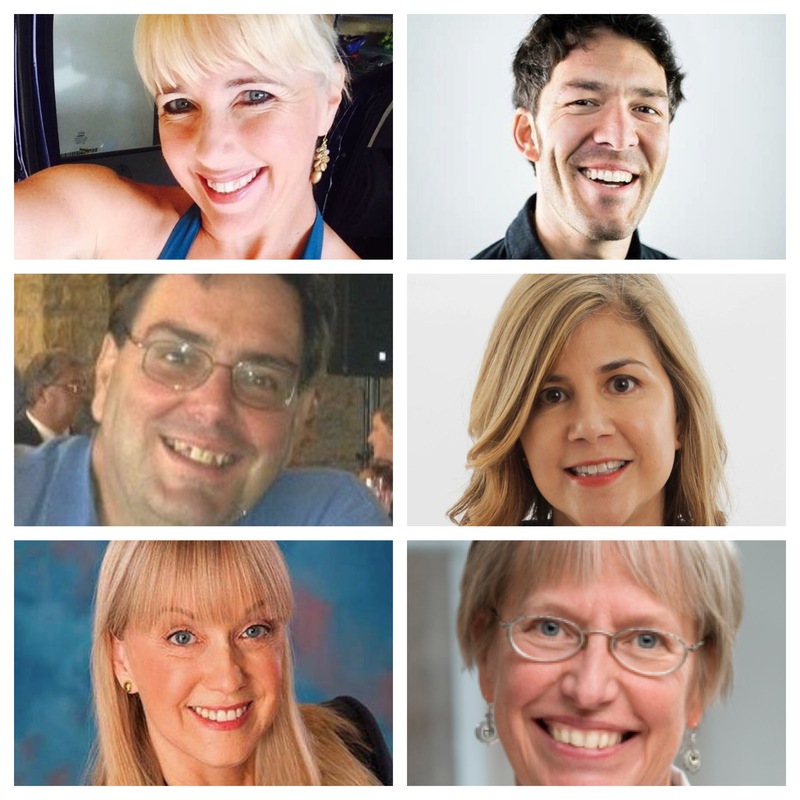 This groups supports the basic parameters of any Low Carb – High Fat (LCHF) lifestyle such as NSNG, Dairy Inclusive Paleo, Atkins, Banting, Zero Carb and Ketogenic Diets. Not only is this common adage laughingly simplistic and misguided, but it is ill-conceived. 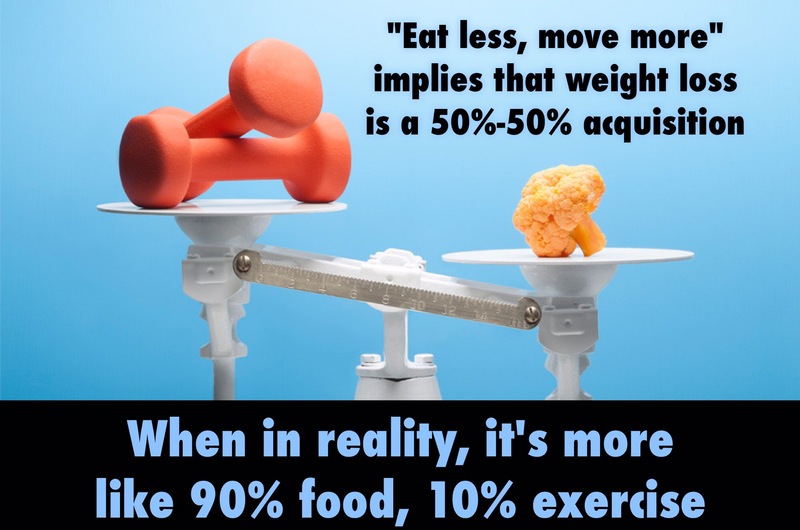 “Eat less, move more” should never be recommended as a method for weight loss, but rather, recognized as the result of a well executed lifestyle change. 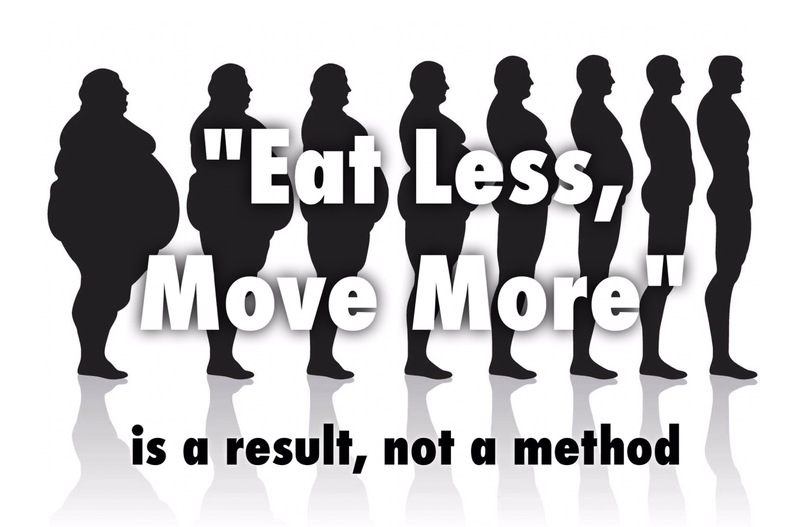 This flawed mantra has been parroted by doctors, nutritionists and fitness trainers for nearly 50 years as if it were nothing short of common sense. 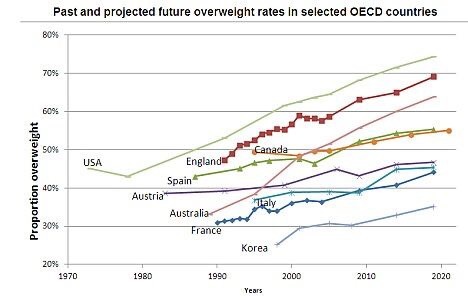 But yet our nations obesity statistics have continued to climb for the past 50 years. The notion that weight loss is as simple as “eating less and moving more” is just shy of offensive to someone who struggles with obesity. 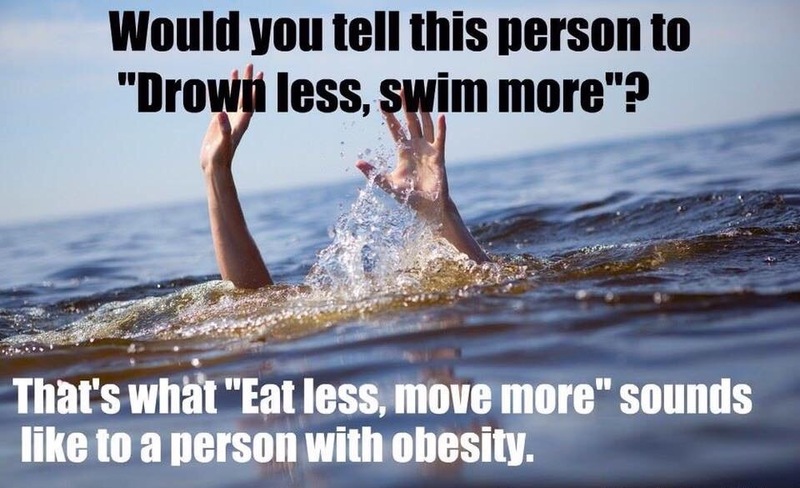 Would you tell someone who doesn’t know how to swim to “drown less and swim more“? 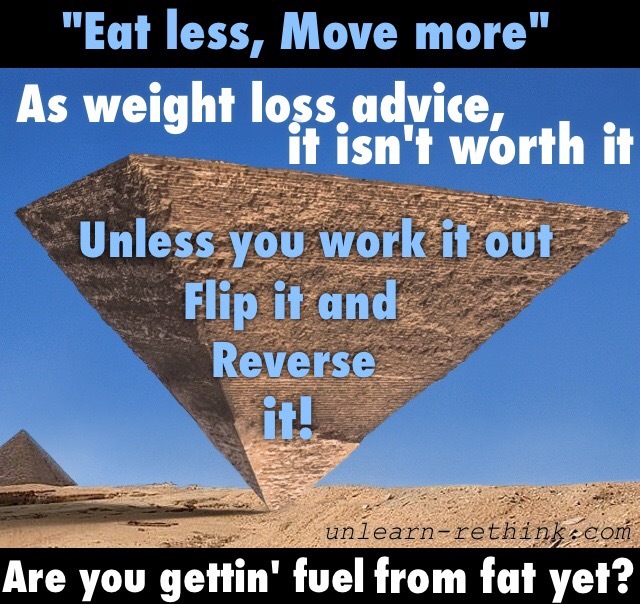 “Eat less, move more”, given as advice for weight loss, comes with it a condescending undertone of blame. The mere accusation that such a complicated problem can be solved so simplistically is nothing short of reprehensible to a person who has been struggling for years with their weight. Look around you, 2 of every 3 Americans are overweight, 1 out of 3 are obese. If it were really that simple, wouldn’t you think we’d have figured all of this out by now? 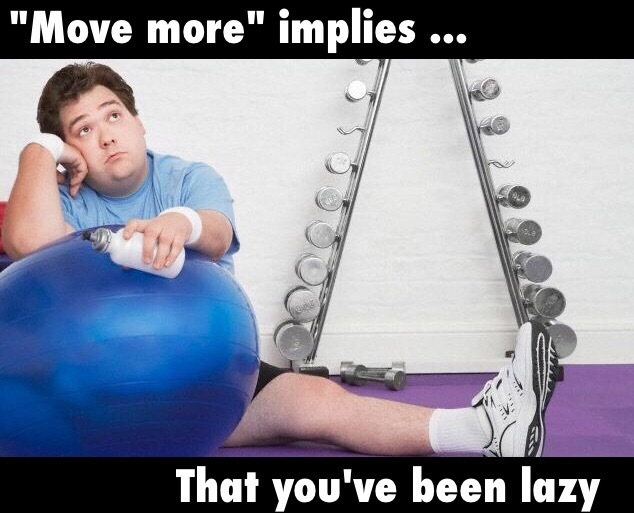 To a person who’s struggling with obesity, “eat less, move more” is passive-aggressively shaming and counter-productive. Do you want your fuel to be converted into stored fat, or do you want it to be converted into energy that your body actually uses? Meaning kenetic energy instead of potential energy. 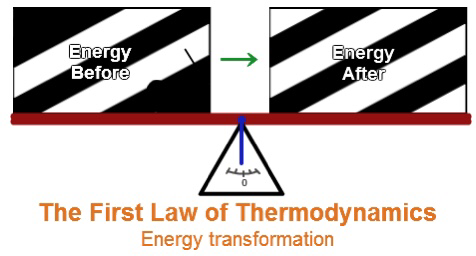 That being said, the hormonal theory of weight gain/loss does NOT imply an exception to the first law of thermodynamics, it actually confirms it. 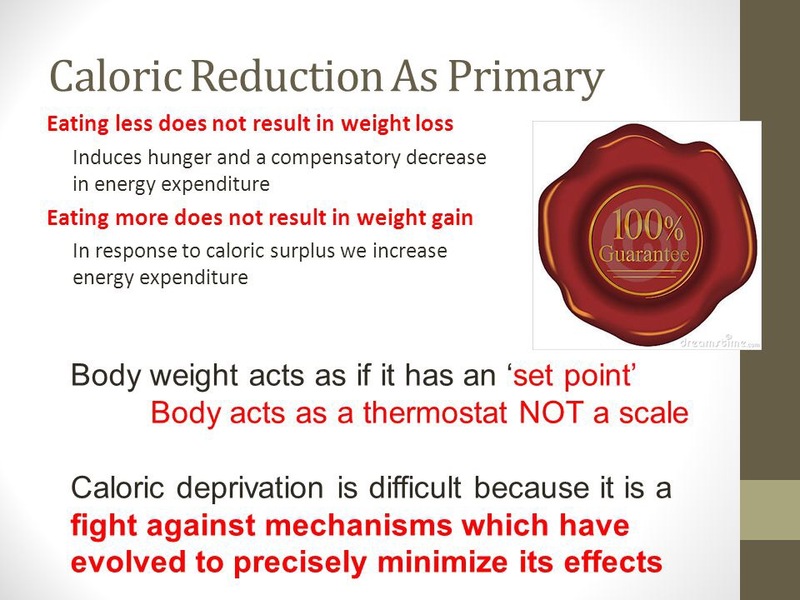 ﻿Caloric Reduction as Primary, or C.R.A.P., for short, is a term pinned by Dr. Jason Fung and his Intensive Dietary Management team. The (above) graphic from their website best illustrates the broad-strokes of my point. The implication that an overweight person can reverse their obesity by simply exercising more is also false. In the early 1900s the “calorie counting” philosophy was spawned by the publication of Eat Your Way To Healthwritten by Dr. Robert Hugh Rose and then further expanded upon by Dr. Lulu Hunt Peters in her book entitled Diet and Health, With Key to the Calories. This began the debate as to the value of the calorie dense saturated fats. But still, the majority of the scientific community at the time, was still certain of the detriment of refined carbohydrates and sugar as the culprit in obesity. 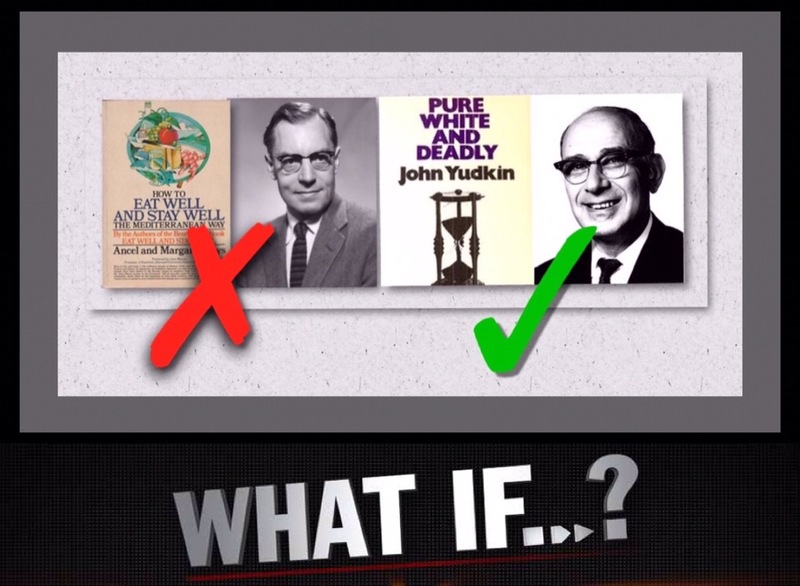 In 1972, John Yudkin’s published Pure, White and Deadly: How Sugar is Killing Us and further educated the medical community of the evils of sugar and its affects on our collective health. Dr. Robert Atkins’ famous Diet Revolution was published later in that same year and became one of the fastest selling diet books in history. But then, the tables started to turn. 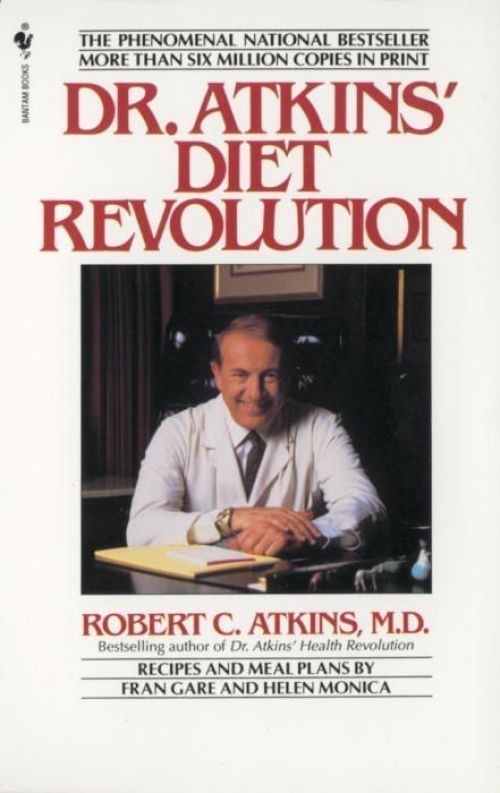 In response to the popularity of Dr. Atkins book, in 1973 the American Medical Association’s counsel on foods and nutrition published a blistering attack on Dr. Atkins’ ideas. Many physicians had developed the unfounded belief that the high fat content of the diet would lead to heart attacks and strokes solely based on the 7 Countries Study conducted by Dr. Ancel Keys. Unbeknownst to scientists at the time, this study was not only inaccurate, but its conclusions were derived in a manner that should have prevented its publication in the first place. 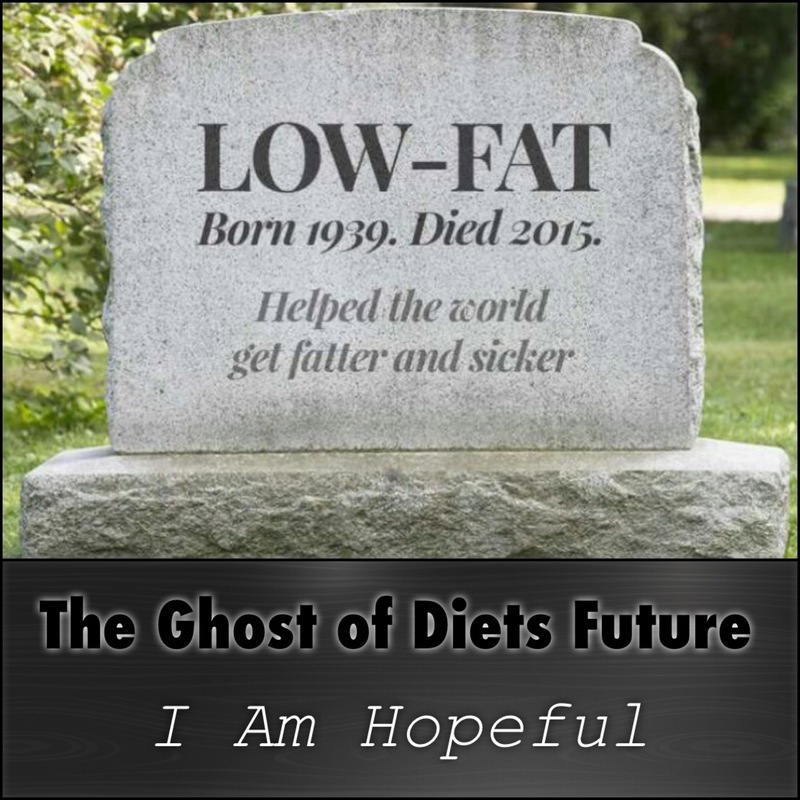 By 1977, bad science had officially invaded the mainstream and the demonization of “dietary fat” took hold. The debate was settled, not as a result of scientific discovery, but by a governmental decree. 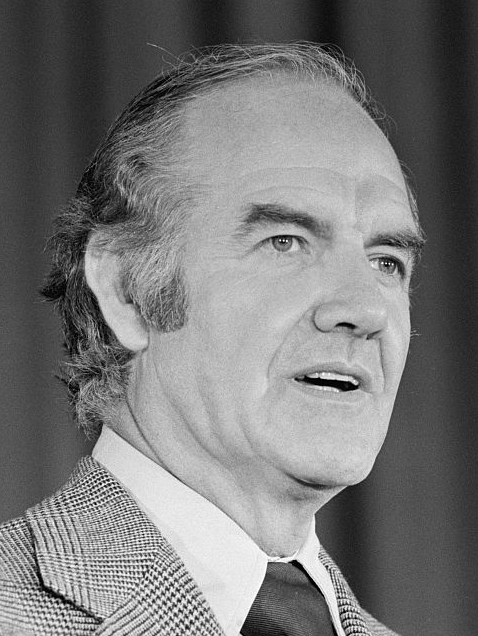 George McGovern’s Select Committee on Nutrition and Human needs declared The Dietary Goals for the United States. Thus requiring that the “low-fat” model for healthy eating become an official guideline for doctors, and medical professionals to follow, recommend and prescribe. 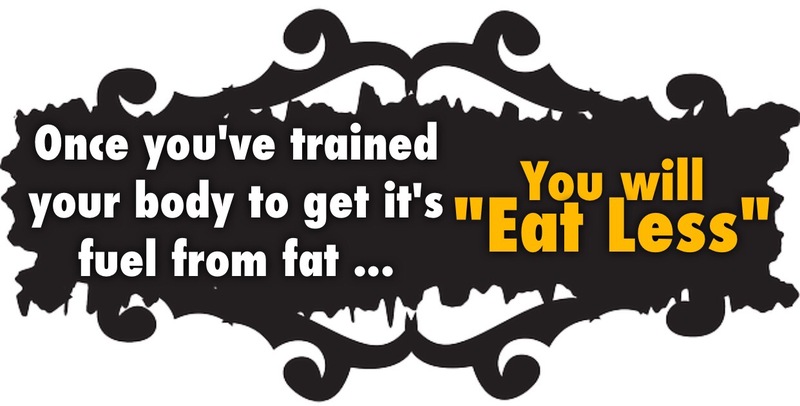 Keep in mind, there are but 3 macro-nutrients: fats, proteins and carbohydrates. 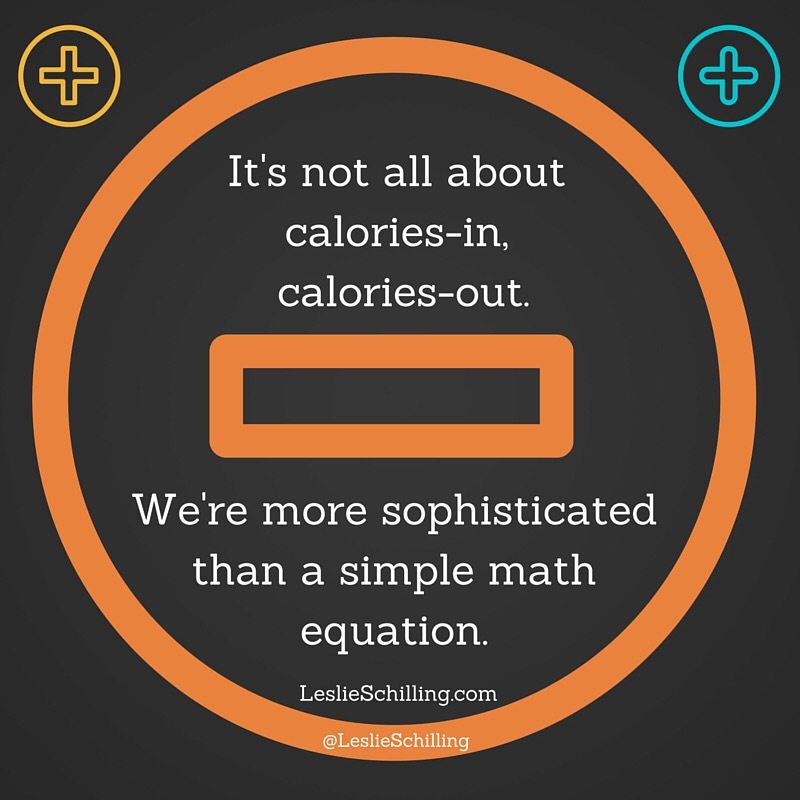 Everything that we eat falls into one or a combination of these 3 categories. Food companies were faced with the challenge of removing the fat. In order to adhere to these new dietary guidelines, they had to replace the fats with either protein or carbohydrates. Being that many sources of protein are also rich in fat, adding refined carbohydrates became the only solution, and of course adding sugar for taste. Then came the chemical nightmare of changing from real butter, lard and healthy oils to the unstable, toxic molecules of hydrogenated and partially hydrogenated oils. Here we sit, 4 decades later amidst a disaster. These guidelines changed not only the way Americans ate, but changed the way Americans thought as well. 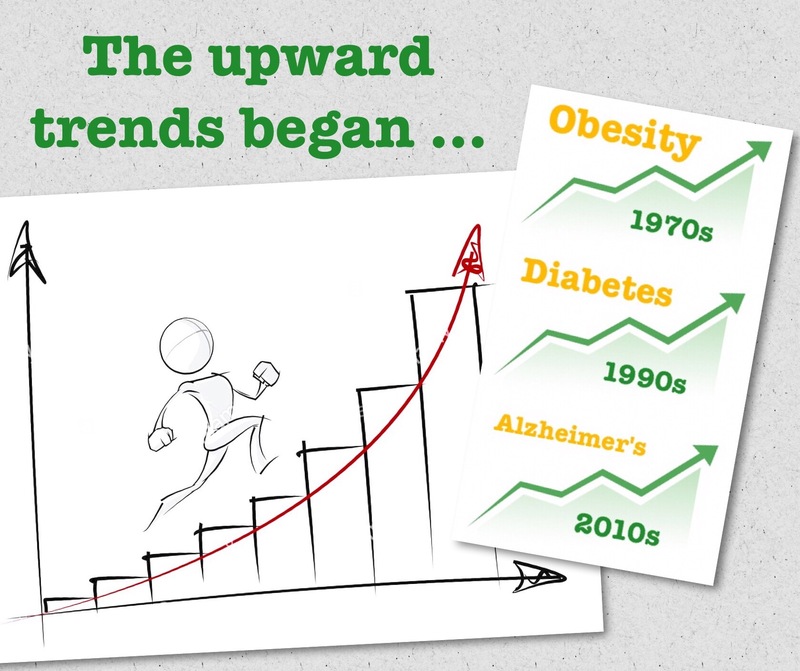 Over the course of these past 40 years we have collectively sat back and watched as heart-disease, cancer, obesity, diabetes and dementia has trended upwards to epic proportions. Believe it or not, to this day, a majority of doctors and health professionals will continue to substantiate this bad science in spite of its 4 decades of detrimental results and failure. We now know that insulin is the hormone most responsible for triggering fat storage. Refined carbohydrates (sugars) is the macro-nutrient most responsible for spiking insulin and glucose levels in our bodies. The ritualistic ingestion of these high glycemic foods over the course of years cause obesity. Furthermore, this continued pattern of eating can also lead to the development of insulin resistance and a diagnosis of type 2 diabetes. In this past decade, it has come to light that this same insulin resistance can begin to take hold in the brain, leading to what many scientists are calling “Type 3 diabetes” or as its been referred to in the past, “Alzheimer’s Disease”. Obesity started trending upwards in the 1970s. In the 1970s only 1 in every 10 Americans were obese. Today it has progressed to 1 in every 3. Obesity is projected to trend up to 1 in 2 Americans by the year 2030. 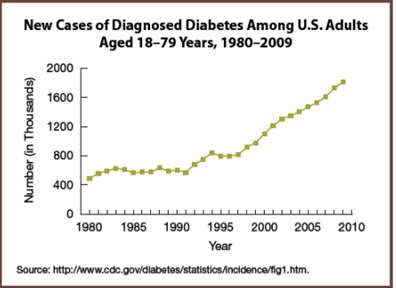 Diabetes statistics start trending upwards in the 1990s. In the 1990s, diabetes effected 3% of the population, today it effects 10%. Diabetes is projected to effect 1 in every 3 Americans by the year 2050. In this day and age, everyone has the power of the internet at their fingertips. It is no longer necessary to simply place blind trust in the “old wives tales” parroted throughout your youth. With resources like Google Scholar and PubMed, the truth behind the many myths of modern nutrition are merely a few thumb strokes away. Gone are the days that Oprah Winfrey, Dr. Oz and your local news anchor wield the same influence that they once did. The current political climate has made most Americans distinctly aware of the reality of “fake news” and the abundance of resource information that is propagated by the corporate influence of the food, agriculture and pharmaceutical industries. 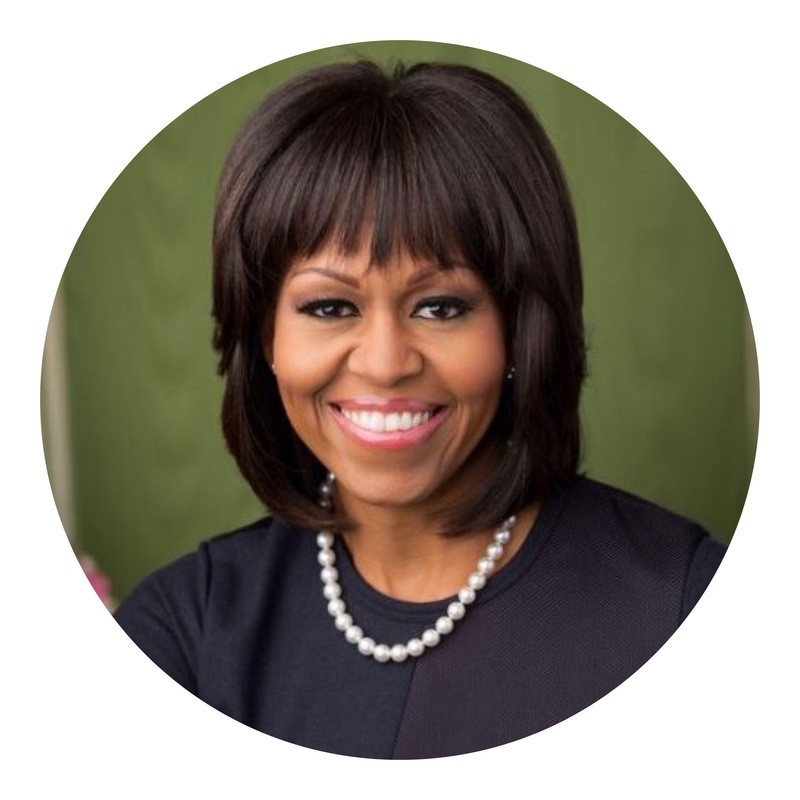 In the past decade there has been an insurgence of passionate leadership in the world of nutrition. Be it through the authorship of best selling books, the infiltration of mainstream media or simply tireless support and education on social media. These nutritional “Warriors” have been relentless in providing resources, education and motivation to a hopeful but misguided public. 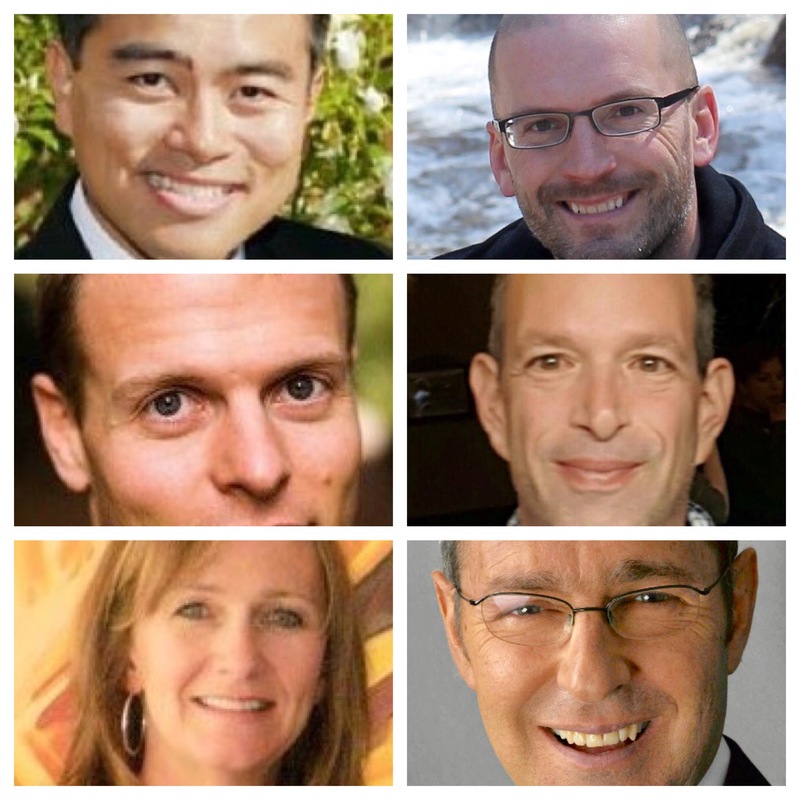 The list of passionate communicators grows longer with each passing day. The truth is out there. 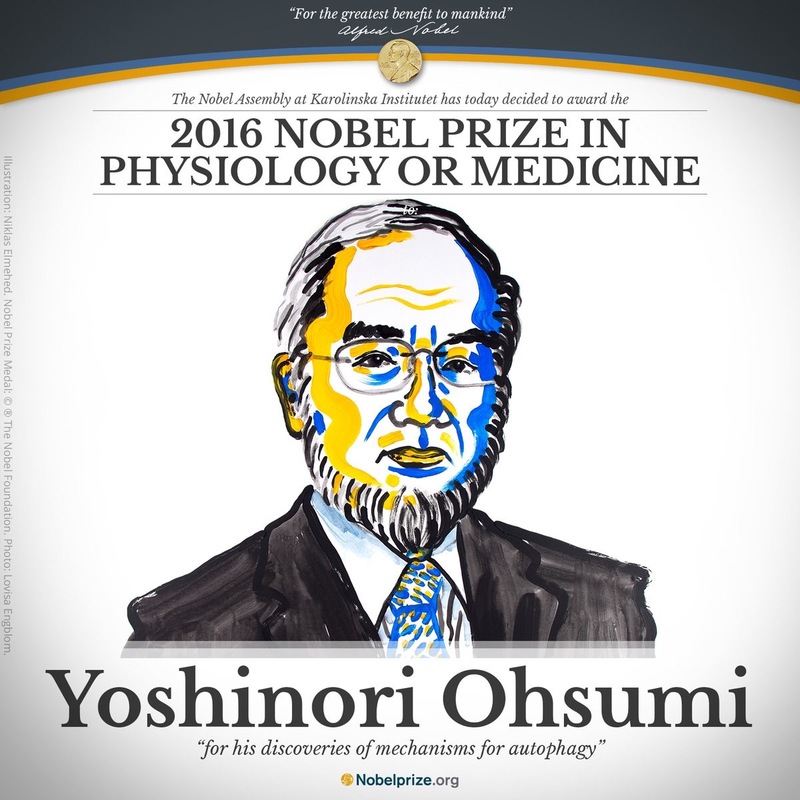 Yoshinori Ohsumi is a Japanese Biologist that was recently awarded the Nobel Prize for advancing the knowledge of cellular autophagy. Intermittent fasting, or IF for short, is an eating regimen in which one cycles between periods of feeding and extended periods of fasting. I know what you’re wondering, what is autophagy and what does IF have to do with it? 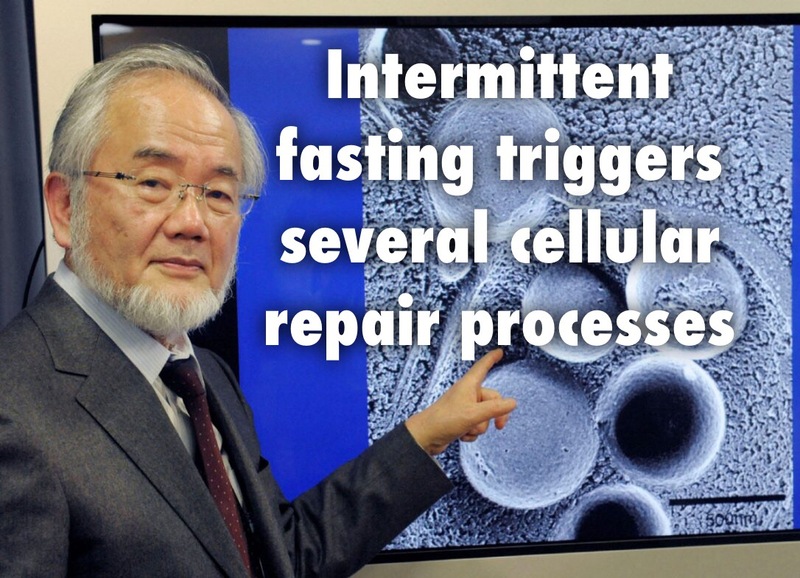 Well, intermittent fasting is the process that initiates cellular autophagy. 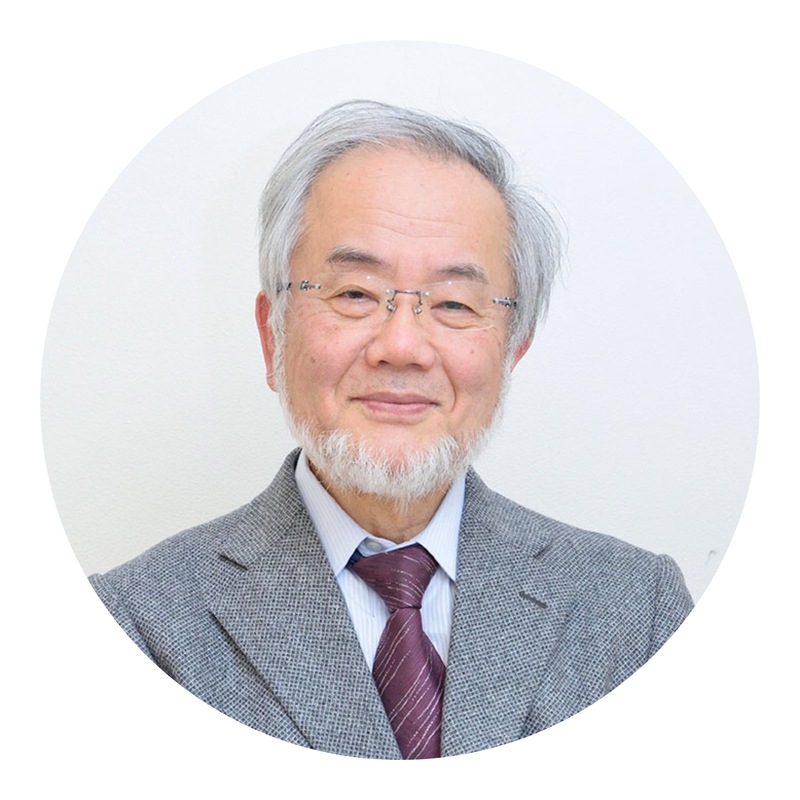 (More on autophagy in a moment) Thanks to the work of Dr. Ohsumi, we now have even further evidence of the benefits of this misunderstood, therapeutic weight loss strategy. Though the credible advocates of intermittent fasting are far too numerous to mention, one doctor in particular has been on the forefront of advancing awareness of its many benefits. 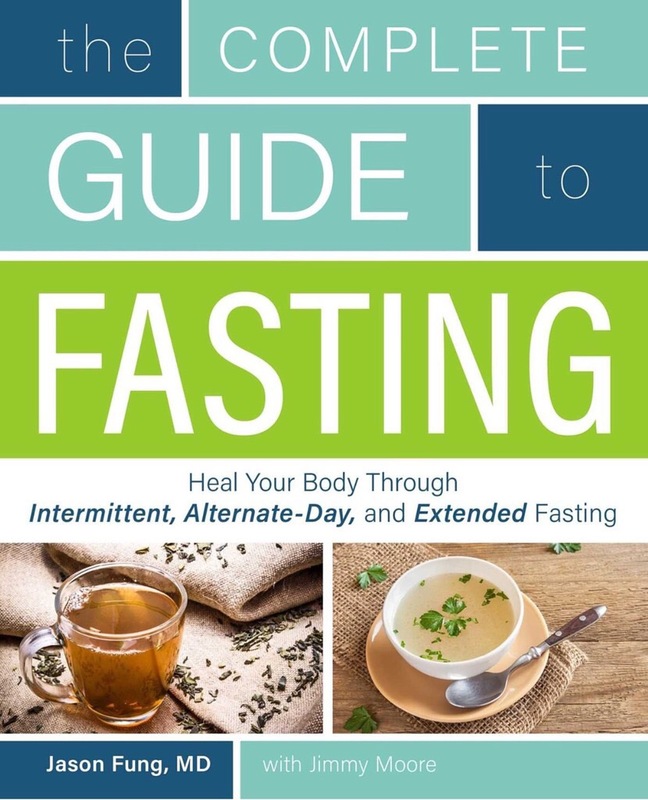 With the publication of two best-selling books on the topic in 2016, Dr. Jason Fung of Ontario Canada provides an excellent road map to success in both The Obesity Code and the how-to manual that he co-wrote with Jimmy Moore entitled The Complete Guide To Fasting. Both have become essential reading to maximizing the benefits of intermittent fasting. When you refrain from eating for an extended amount of time, several important things happen. 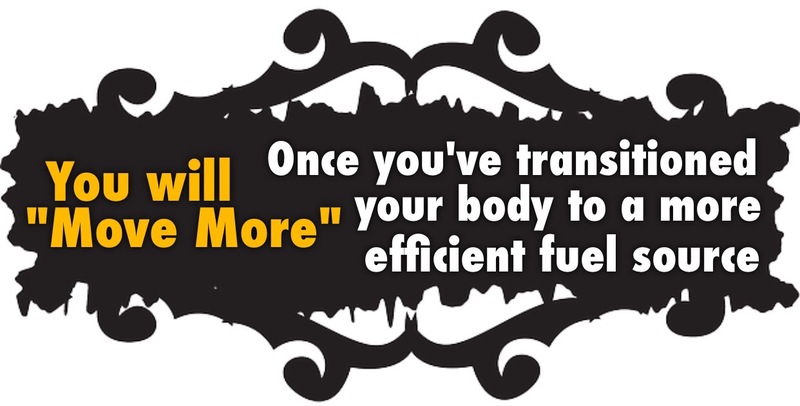 Your body initiates a cellular reparative process that alters hormone levels that make stored body fat more accessible. * Blood levels of insulin drop significantly, which facilitates the burning of fat for fuel (1). 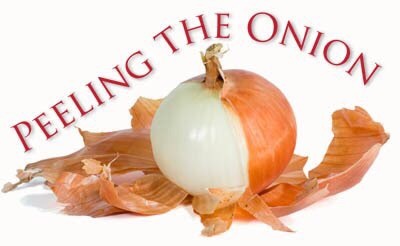 * The blood levels of growth hormone increase by as much as 5 times (2, 3) which facilitates fat burning and muscle gain. There are other benefits as well (4, 5). * The body induces an important cellular repair process that removes waste material from your cells (6). * There are beneficial changes in gene expression and molecules related to increased longevity and protection against disease (7, 8). Many of those who utilize intermittent fasting are doing so for the purpose of weight loss (9). 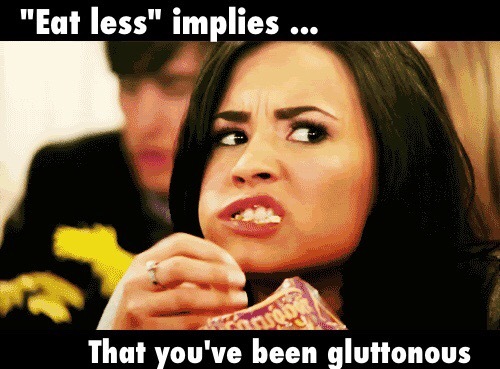 In theory, when fasting intermittently, you are eating fewer meals. Provided you don’t compensate by overeating, you are taking in less calories on average over the course of time. 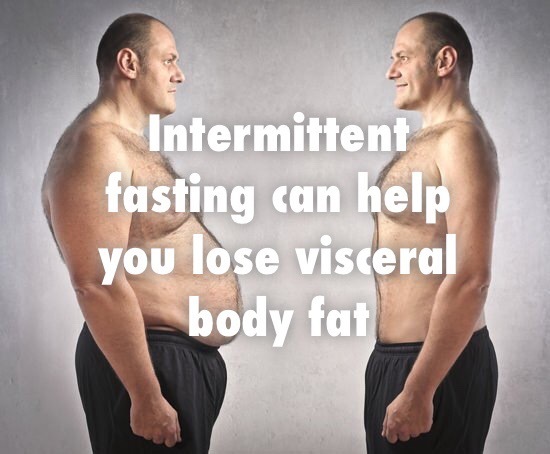 Most importantly though, intermittent fasting enhances your hormone function to facilitate this weight loss. Lower insulin levels, higher growth hormone levels and increased amounts of nor-epinephrine all increase the breakdown of body fat and facilitate its use for energy. 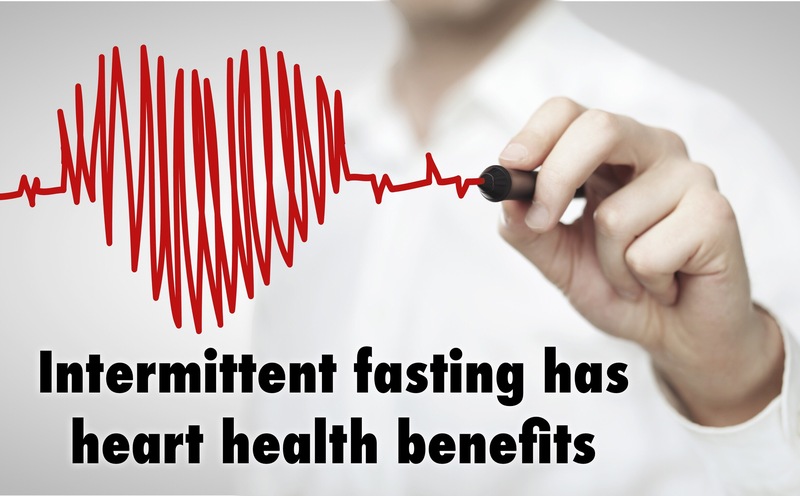 For this reason, short term fasting actually increases your metabolic rate by as much as 14%, helping you burn even more body fat (10, 11). Interesting that this is diametrically opposed to the current day conventional wisdom that somehow eating more frequently speeds up metabolism. 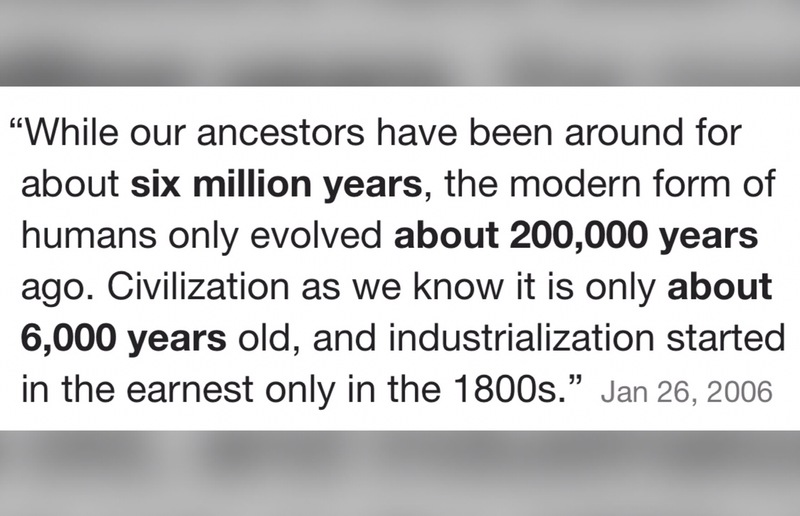 That is simply a myth that has no basis in science. If you are one to put credence in the oversimplified calories in vs. calories out theory (CICO), I guess it could be said that intermittent fasting works on both sides of that equation. 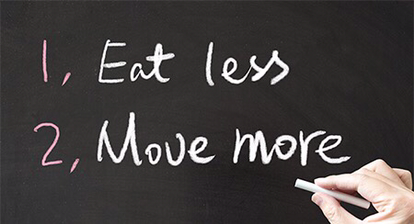 It boosts your metabolic rate (increasing calories out) and reduces the amount of food you eat (reducing calories in). According to a 2014 review of the scientific literature, intermittent fasting can result in weight loss of 3-8% over 3-24 weeks (12). This is a significant amount. These same participants also decreased their waist circumference by 4-7%, which indicates that they lost visceral belly fat, the harmful fat located in the abdominal cavity known to cause disease. One review study also showed that intermittent fasting resulted in less muscle loss than continuous calorie restriction (13). 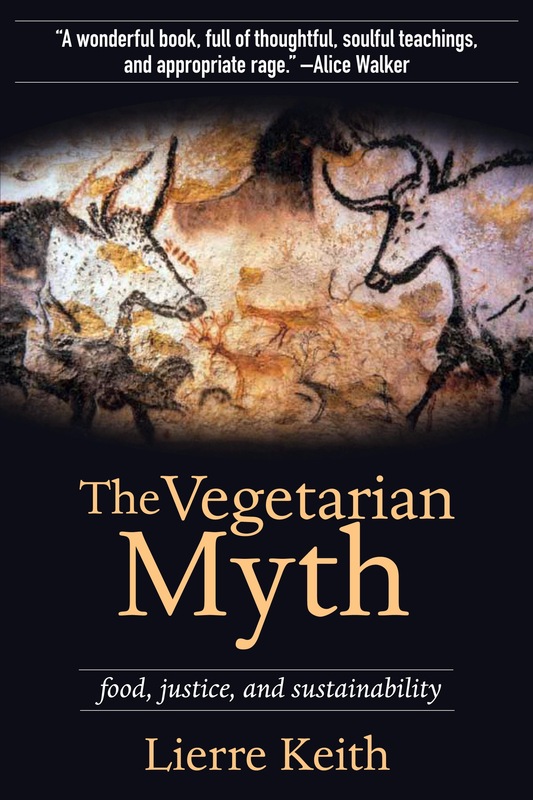 So many myths, so little time. Type 2 diabetes has become so common in recent decades that it’s not an exaggeration to refer to it as an epidemic. This debilitating metabolic disorder results from the combination of high blood sugar levels in the context of insulin resistance. Improving insulin sensitivity will result in the lowering and controlling of blood glucose levels. 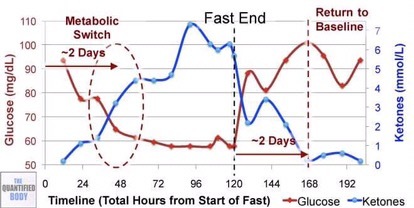 In human studies on intermittent fasting, fasting blood sugar has been reduced by 3-6%, while fasting insulin has been reduced by 20-31% (12). One study conducted on diabetic rats revealed that intermittent fasting provided protective properties against kidney damage, one of the most severe complications of diabetes (13). 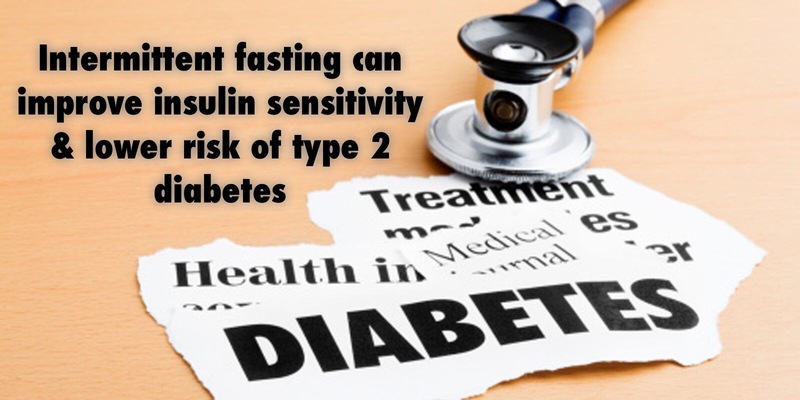 Intermittent fasting, in concert with a well formulated low-carbohydrate diet have been known not only to improve insulin sensitivity, but in many cases to reverse, or stave off the progression of type 2 diabetes (12). Oxidative stress and inflammation are two of the main contributing factors to the progression of aging and many chronic metabolic diseases (14). It involves unstable molecules called free radicals, which cause adverse reactions with other important molecules (like protein and DNA) and cause damage to them (15). 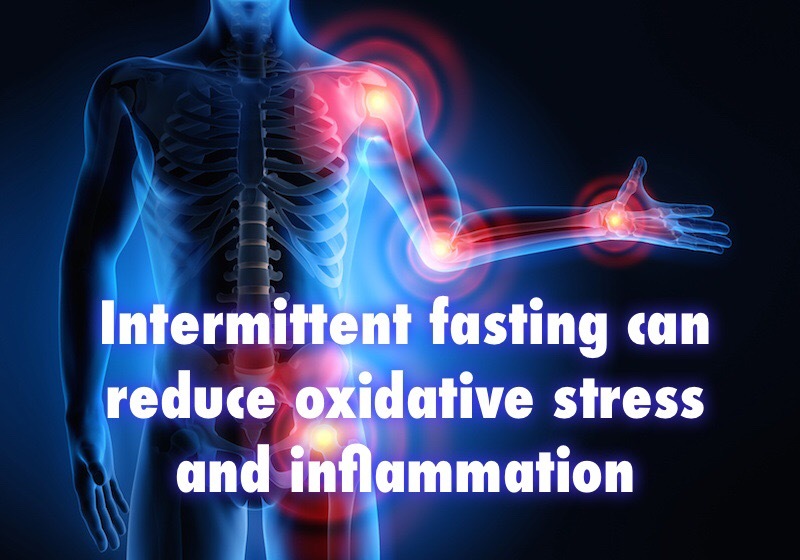 Several studies show that intermittent fasting may enhance the body’s resistance to oxidative stress (16, 17). Additionally, studies show that intermittent fasting can help fight inflammation, and other key drivers of common diseases (17, 18, 19). Heart disease is currently the world’s #1 killer (20). Intermittent fasting has been shown to improve numerous different risk factors, including high blood pressure, total and LDL cholesterol, blood triglycerides, inflammatory markers and blood glucose levels (12, 21, 22, 23). As discussed earlier, intermittent fasting can improve upon biomarkers of oxidative stress, inflammation, and hyperinsulinemia, all of which are considered common measures of cardiac health risk. The autophagial pathway involves the cells breaking down and metabolizing broken and dysfunctional proteins that build up inside cells over time. Increased autophagy may provide protection against several diseases, including cancer and Alzheimer’s disease (25, 26). You’ve likely heard the buzz words detox or cleanse thrown around in non-scientific circles in the context of juicing and the like. Well, autophagy as it pertains to intermittent fasting is the only TRUE cleansing and detoxification process. Think of it as a detox on the cellular level. We all know cancers are often characterized by an uncontrolled growth of cells. Many cancer cells are glucose dependent. 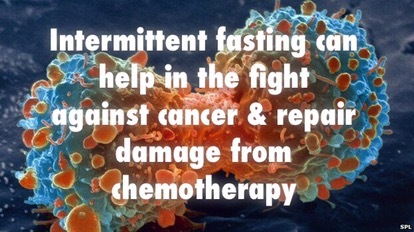 Fasting has been shown to have several beneficial effects on metabolism that can lead to a reduced risk of cancer. Fasting starves glucose dependent cancer cells. It only makes sense that cancer cells that thrive on glucose for growth would be deminished when their fuel is taken away. Although more human studies are currently underway, promising evidence from animal studies indicates that intermittent fasting may help prevent cancer (27, 28, 29, 30). There is also some evidence on human cancer patients, showing that fasting reduced various side effects of chemotherapy (31). What is good for the body is good for the brain as well. We’ve already discussed the positive effects that intermittent fasting can have in regards to improvements in insulin sensitivity in the body. It only makes sense that IF would decease insulin resistance for the brain as well. Reducing oxidative stress, inflammation and lowering blood glucose levels have positive affects on cognition and brain function. 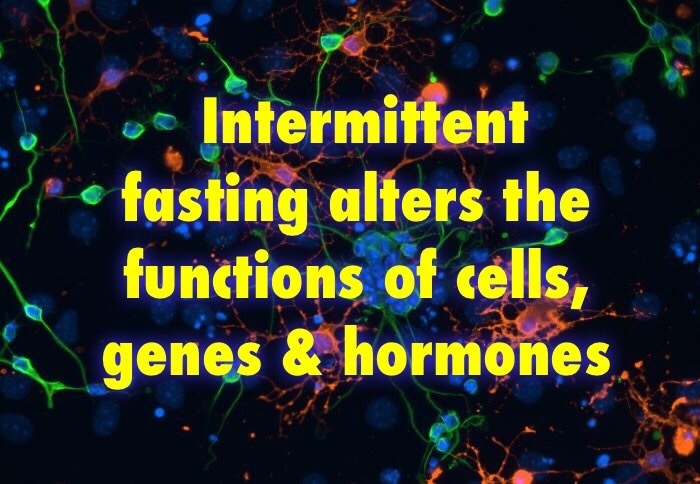 Several studies in rats have shown that intermittent fasting may increase the growth of new nerve cells, which have enormous benefits for brain function (32, 33). It also increases levels of a brain hormone called brain-derived neurotrophic factor (BDNF) (32, 34, 35), a deficiency of which has been implicated in depression and various other brain abnormalities (36). Animal studies have also shown that intermittent fasting protects against brain damage due to strokes (37). Alzheimer’s disease is the world’s most common neurodegenerative disease. 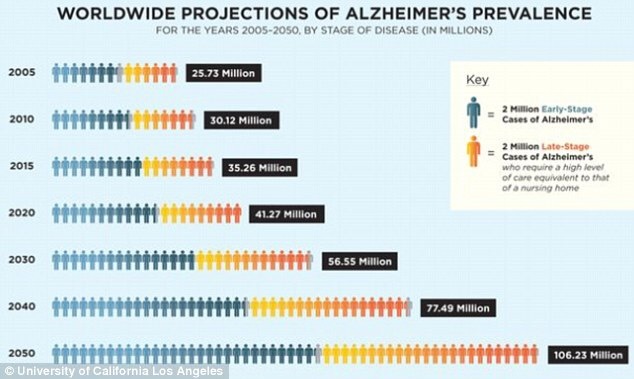 There is currently no cure available for Alzheimer’s patients , so prevention is of the utmost importance. 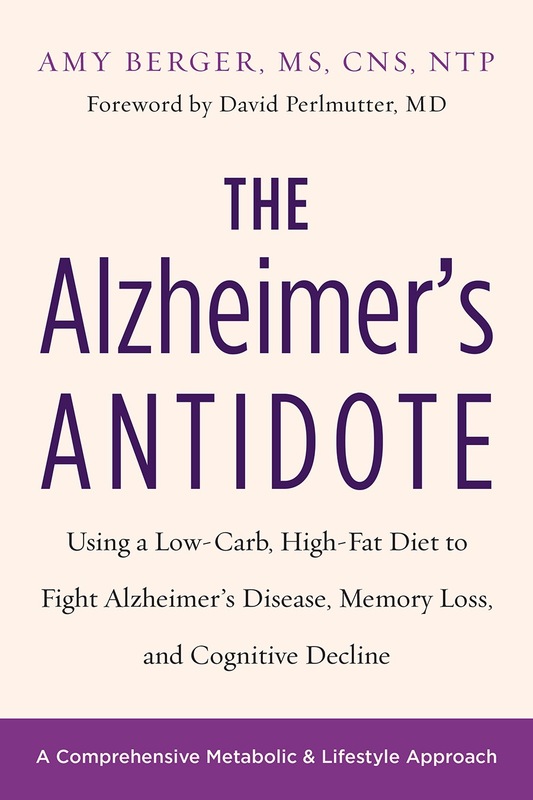 A study in rats shows that intermittent fasting may delay the onset of Alzheimer’s disease or reduce its severity (38). In a series of case reports, a lifestyle intervention that included daily short-term fasts was able to significantly improve Alzheimer’s symptoms in 9 out of 10 patients (39). 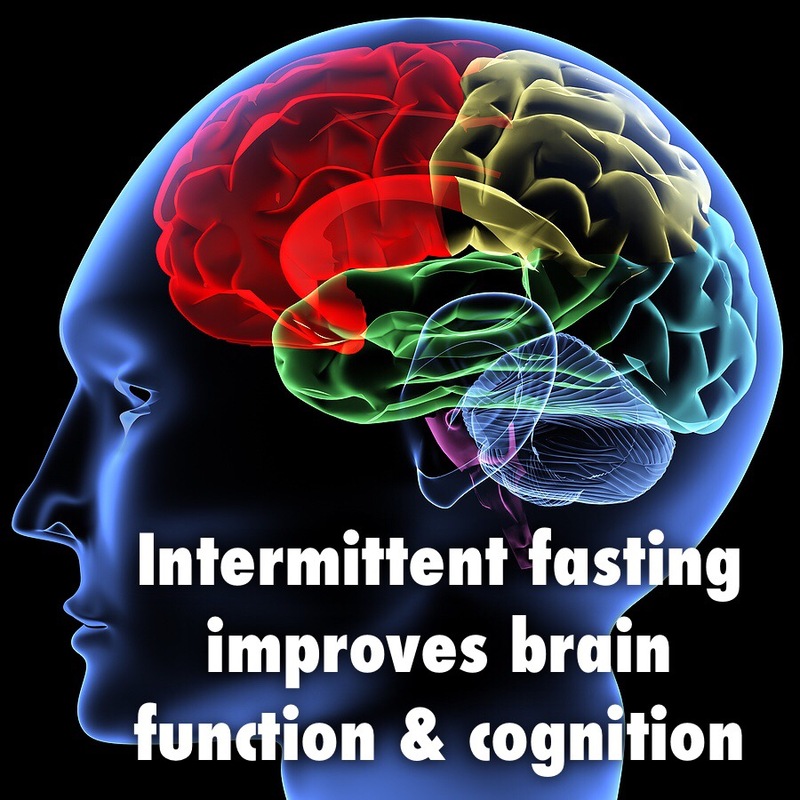 Animal studies also suggest that fasting may protect against other neurodegenerative diseases, including Parkinson’s and Huntington’s disease (40, 41). 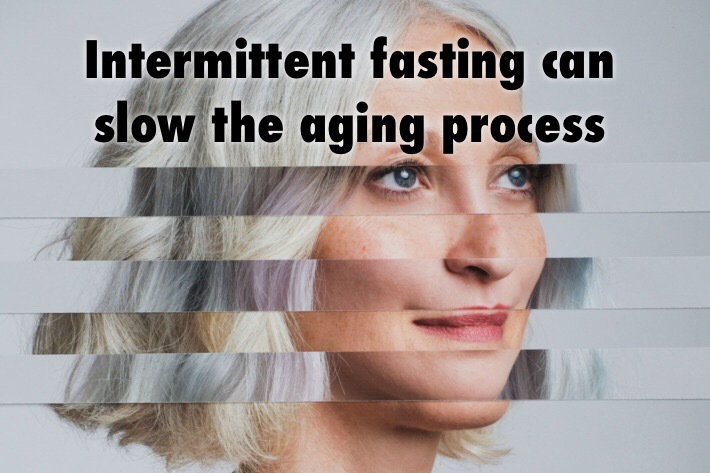 One of the most interesting applications of intermittent fasting may be its ability to extend lifespan by slowing the aging process. Studies in rats have shown that intermittent fasting extends lifespan in a similar way to that of continuous calorie restriction (42, 43). In some of these studies, the effects were quite dramatic. In one, rats that fasted every other day lived 83% longer than rats who weren’t fasted (44). Although this is far from being proven in humans, intermittent fasting has become enormously popular amongst the anti-aging crowd, as I’m sure you can imagine. Given the known benefits for metabolism and health markers, it only makes sense that intermittent fasting could help you live a longer and healthier life. As discussed earlier, fasting can be a much easier and a nearly effortless acquisition when conducted in a state fat adaption. To learn more about how this process staves off hunger and optimizes the burning of stored fat, visit this link (click here). The fasting process is optimized once you’ve adapted your body to seeking its fuel from fat instead of carbohydrates. 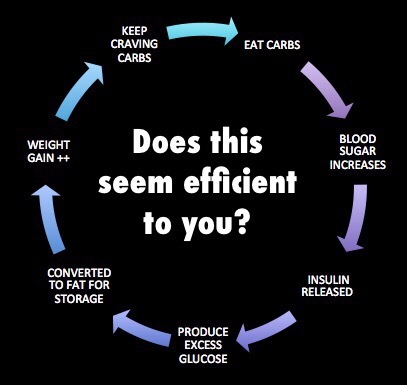 Though you will still eventually achieve a state of ketosis while fasting, being previously fat adapted simplifies and quickens the process, and allows for much less struggle in regards to hunger pangs. This graph, provided by the Quantified Body Podcast, illustrates the increase in serum ketone levels during the fasting state. 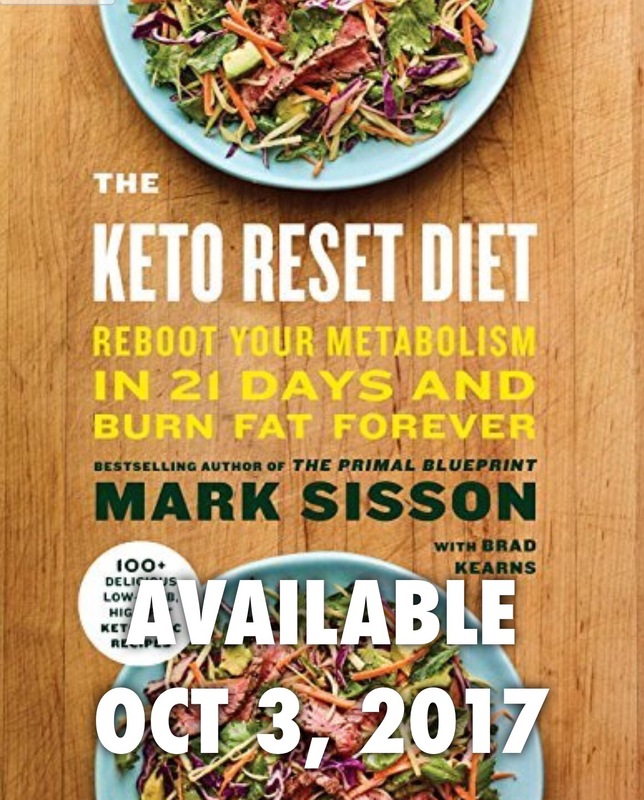 Should you decide to look further into intermittent fasting as a possible aid in weight loss or the reversal of metabolic disease, might I suggest educating yourself further by reading one or both of the books suggested at the beginning of this article. The implementation of an intermittent fasting regimen is most effective if utilized in the context of a low-carbohydrate, LCHF or Ketogenic diet. As always, consult your physician prior to implementing any drastic dietary changes.